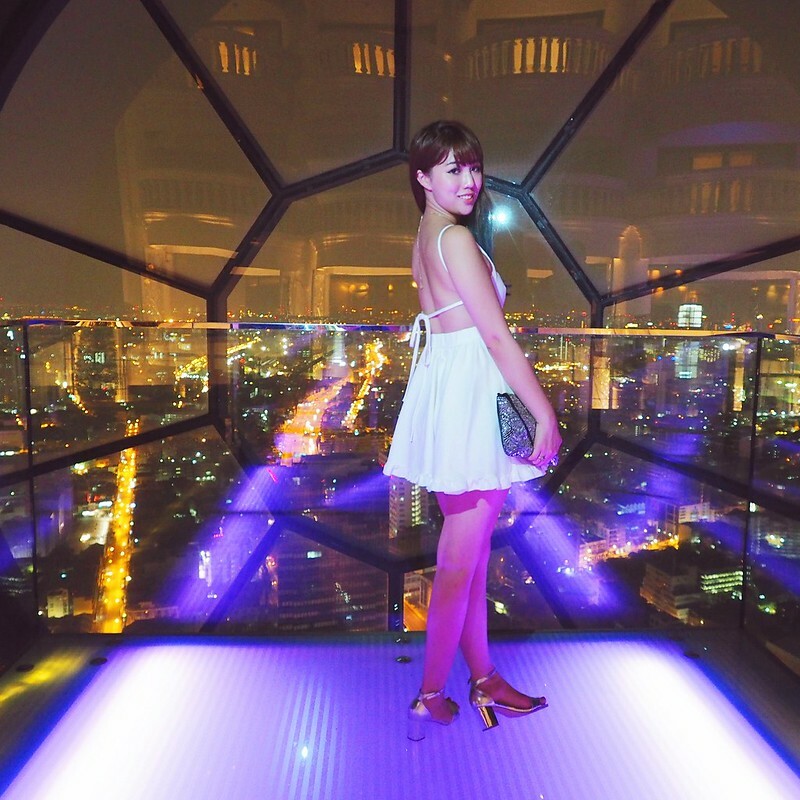 SHENNYYANG - Singapore's Lifestyle & Travel Blogger: A Guide to Bangkok! Hello all!!! 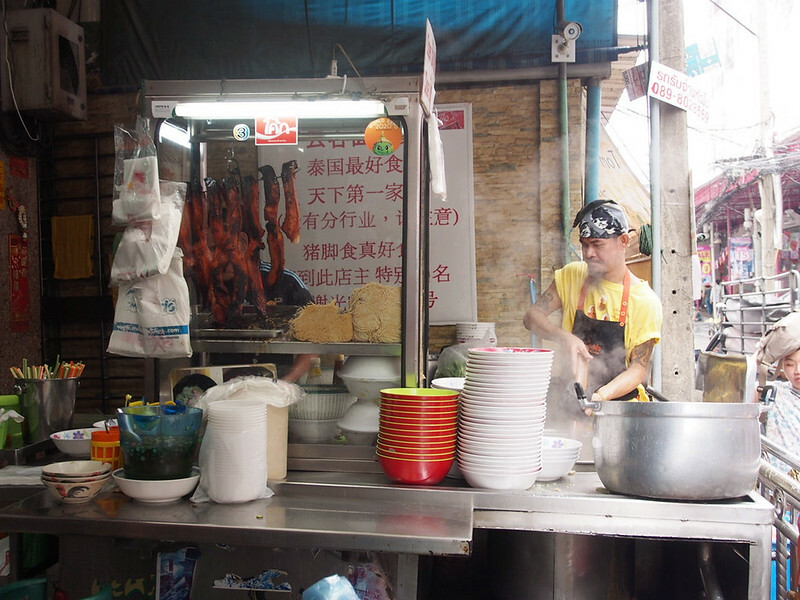 Over the past 1 year, I have been to Bangkok 4 times and thought it'd be nice to do a write up my own version of Guide to Bangkok since many of you seems to be asking a lot of BKK-related questions on my Ask.Fm. 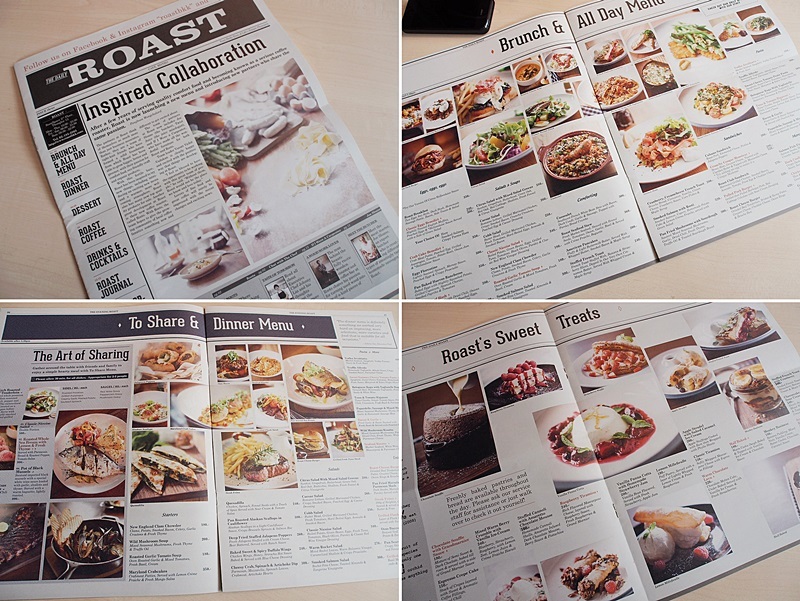 I have actually done a guide before (view it here) but it's pretty much outdated! 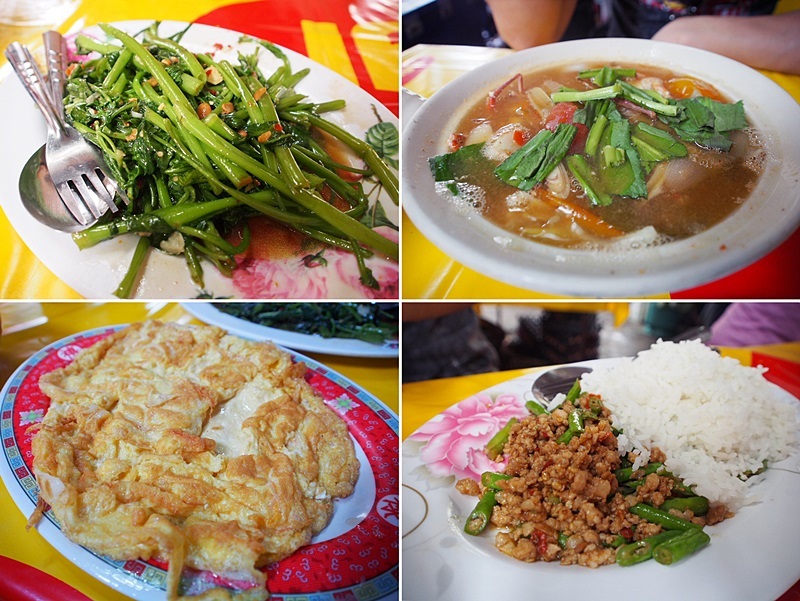 So here's a much newer version of my Guide to Bangkok. 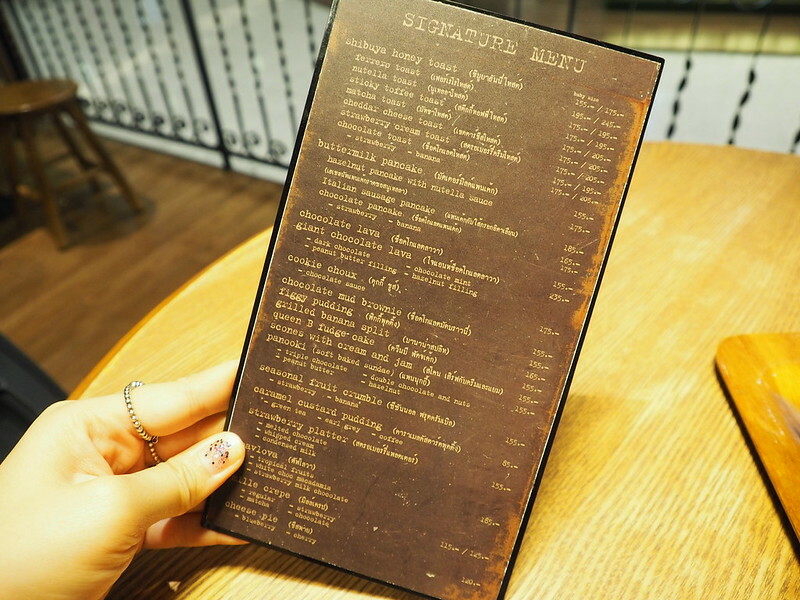 This might not be the best guide out there, but personally, these are places I would visit, food I would eat etc whenever I am in BKK and so, I'd like to share with you guys! 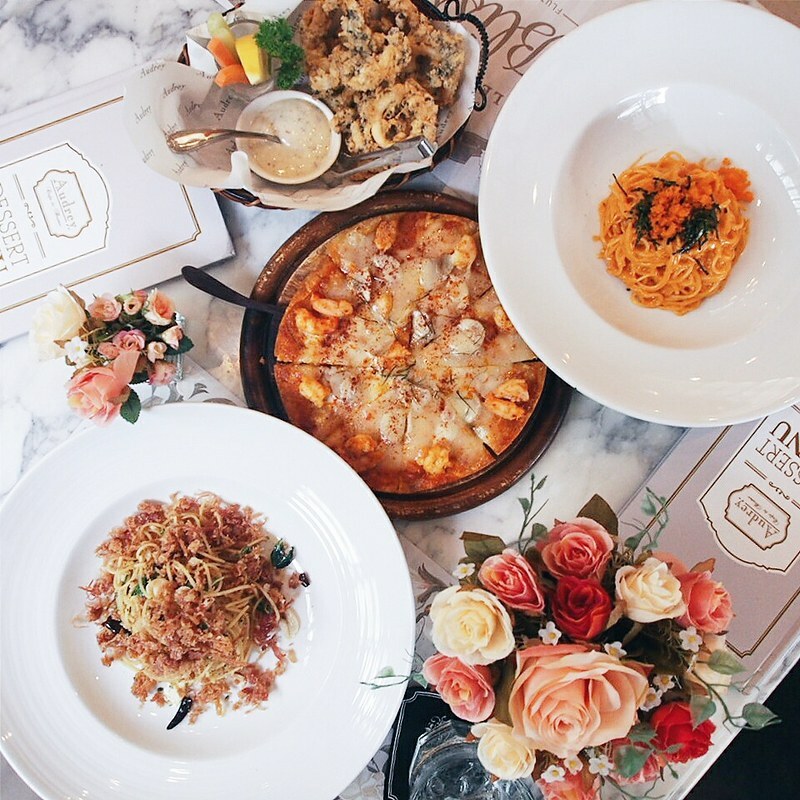 In this guide, I will be sharing on where I usually prefer to stay, shop, eat and drink. So let's get it started! 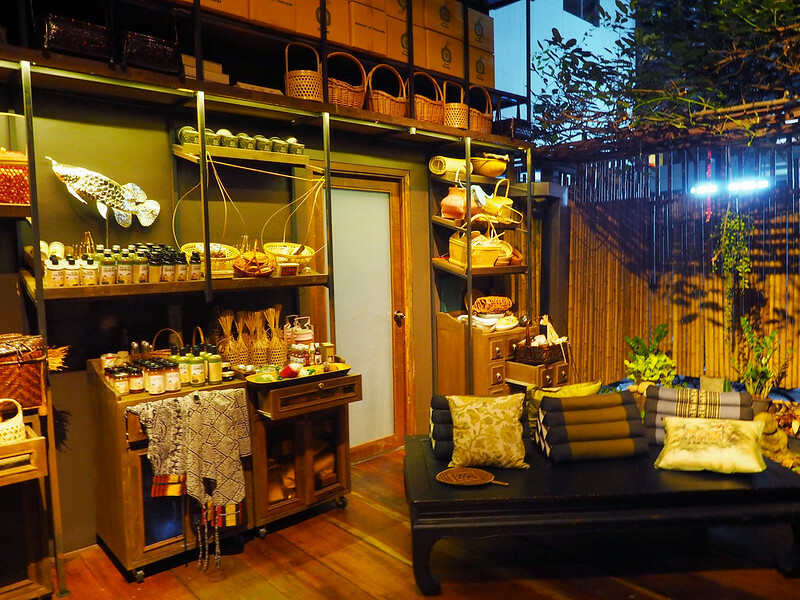 In general, I tend not to spend much on accommodation in BKK because since I am out 80% of the time, I would rather save the money on accommodation so that I can spend it on shopping/food. In short, I just need a place to shower and rest. 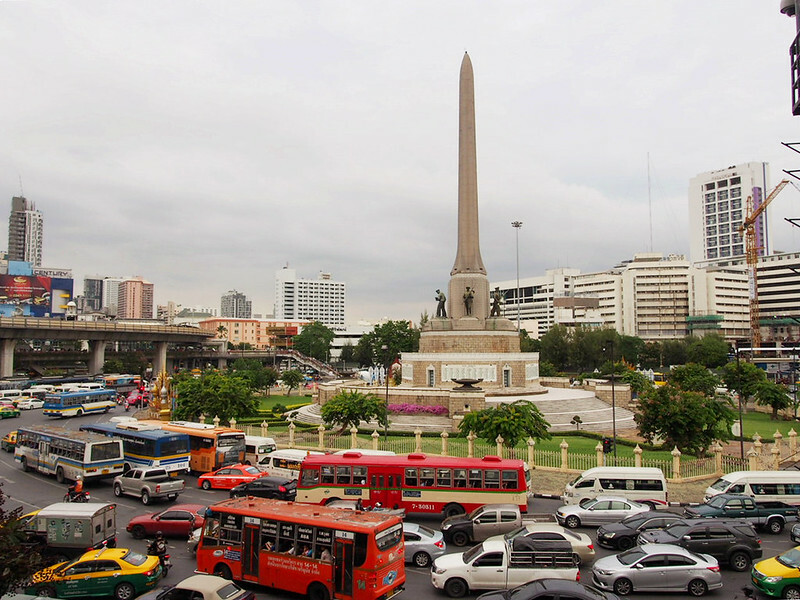 I usually stay around Pratunam area. 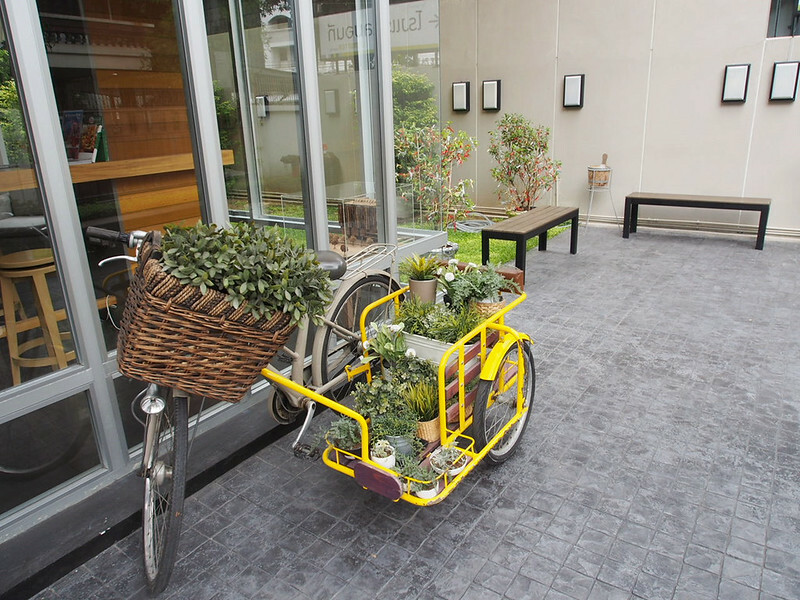 So here are some budget hotels I managed to check out and find it reasonably well! Clean, comfy and spacious room! 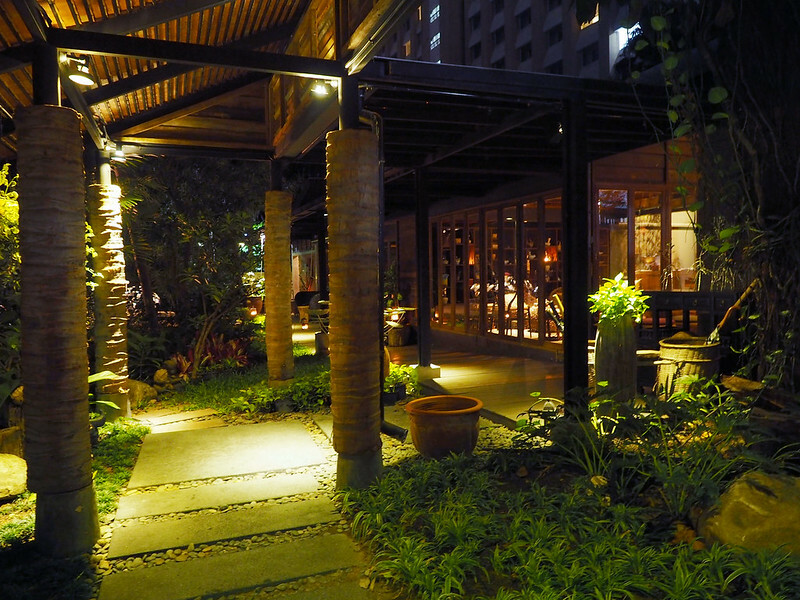 It is one of my favourite budget hotel to stay in BKK. The only downside is that the room is pretty small. So it can get pretty squeezy especially with your massive BKK shopping loots. But I love the entire decor of the hotel. 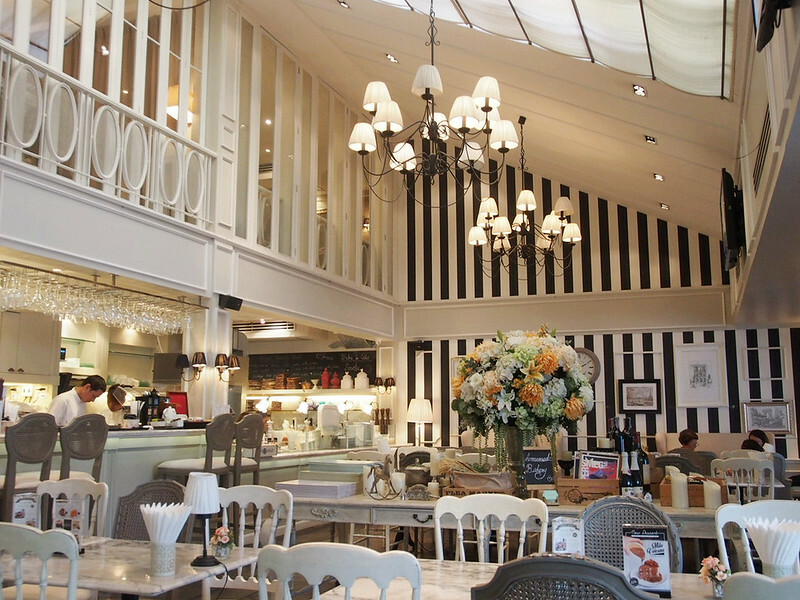 Very cafe-like and cosy! 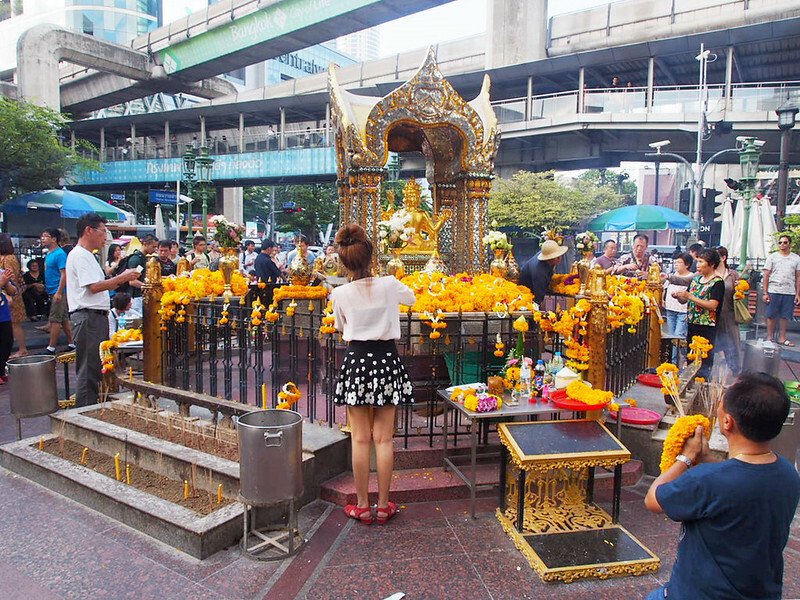 It is located right beside the Erawan (4 Face Buddha) Shrine. 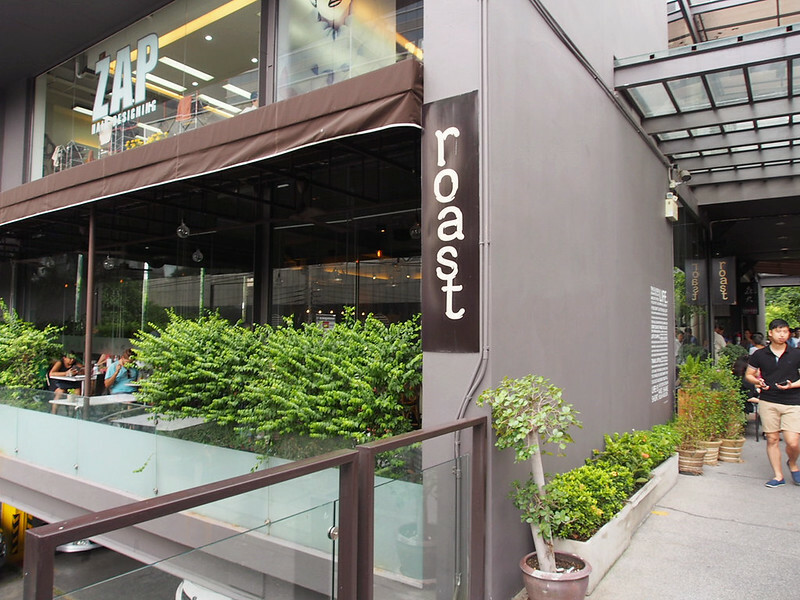 An approx 5mins walk to Central World. 10 mins walk to Platinum Mall. I usually aim to reach the market by 10am to start off my day! It's gonna be scorching HOT so be prepared!!! 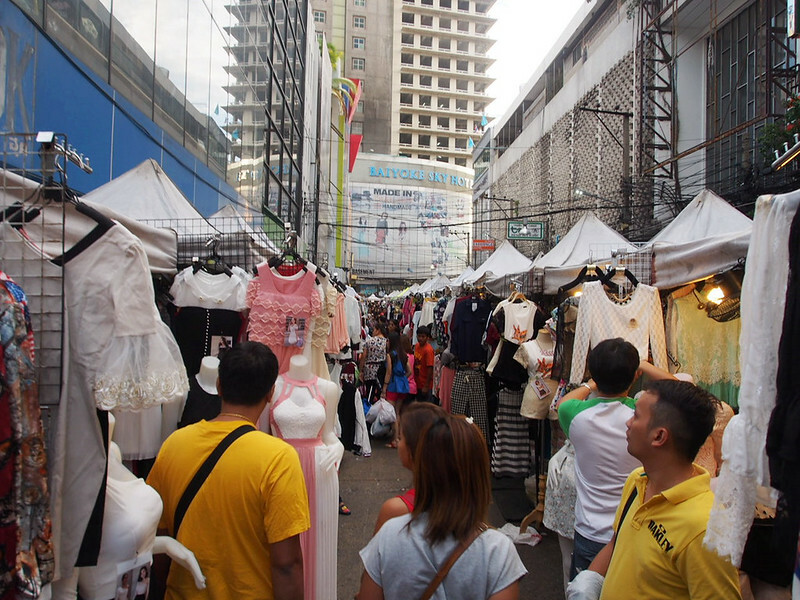 Travel essentials when visiting Chatuchak Market include water, sunblock, a cap or rubberband to tie up your hair & sunglasses! And of course, don't forget your cash cuz there's so much stuff tto buy here! 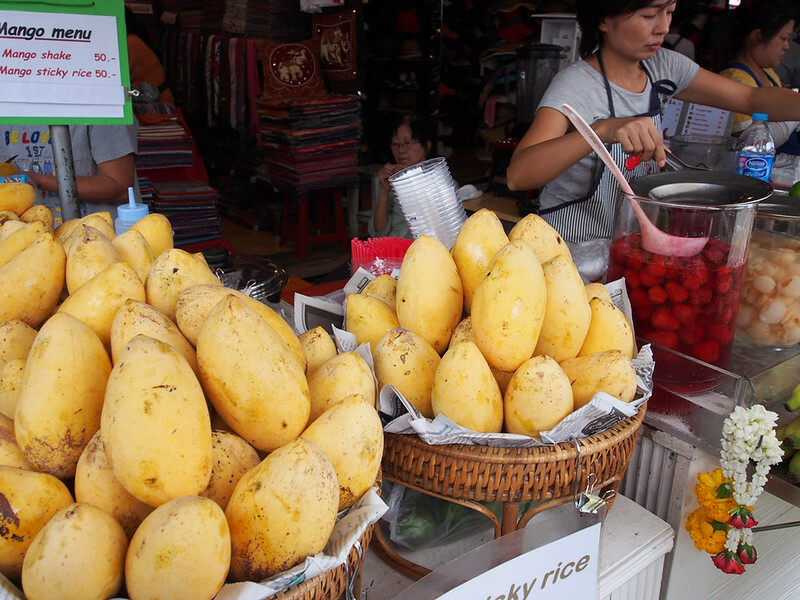 WHAT TO EAT IN CHATUCHAK MARKET? Freaking tasty Chicken Noodle Soup!! 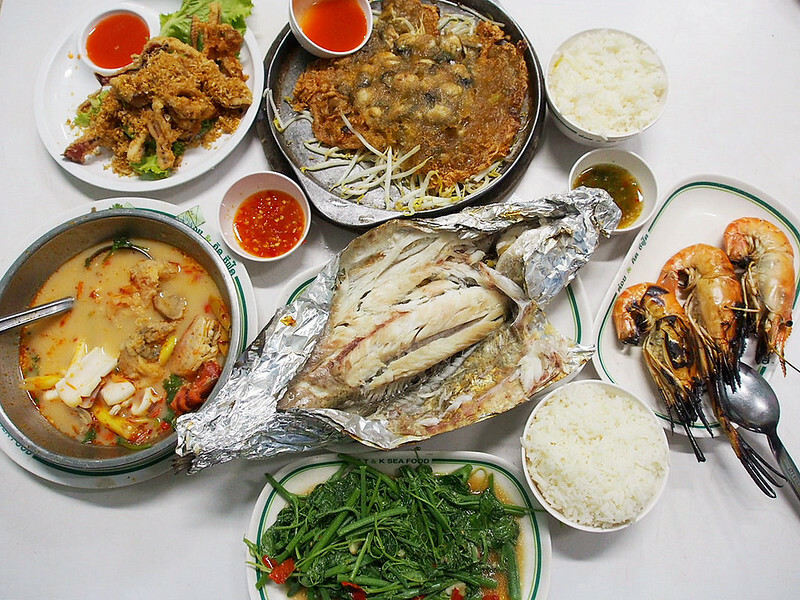 I am dying for it right now (minus the chicken feet please)!!! 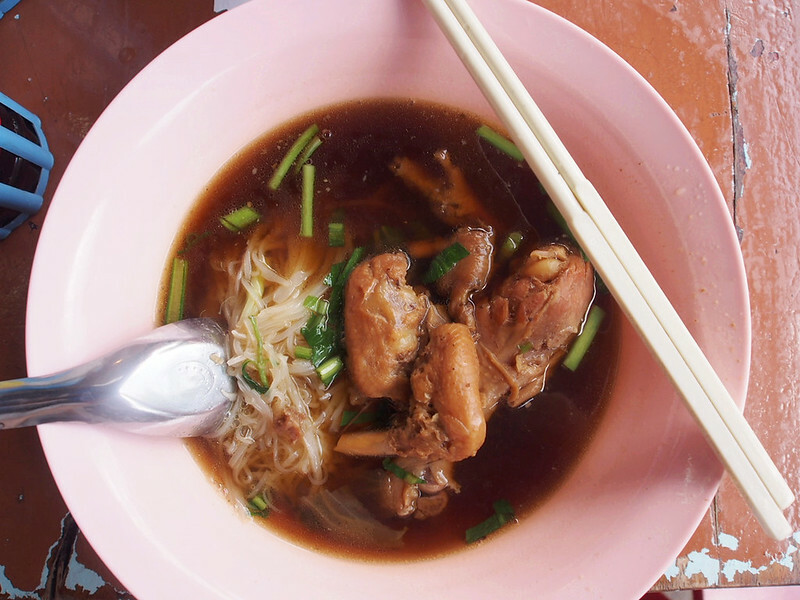 Since I usually take a cab to Chatuchak Market, I would ask the uncle to alight me at Gate 3 (chicken noodle stall is located near here) and have a bowl of chicken noodles goodness the first thing I reach the market! 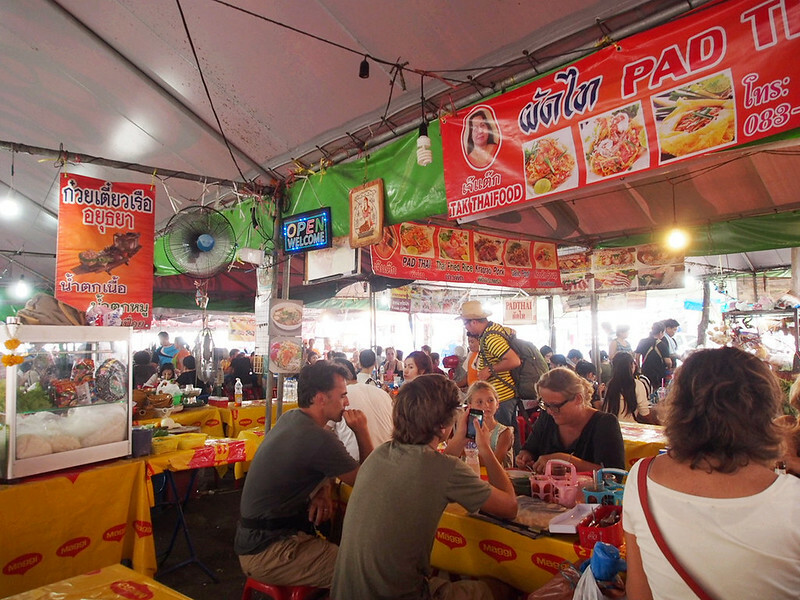 Full and all ready to start off my day in Chatuchak Market! Only 5 or is it 10baht for this childhood popsicle made of drinks such as F&N Grape & Coke. 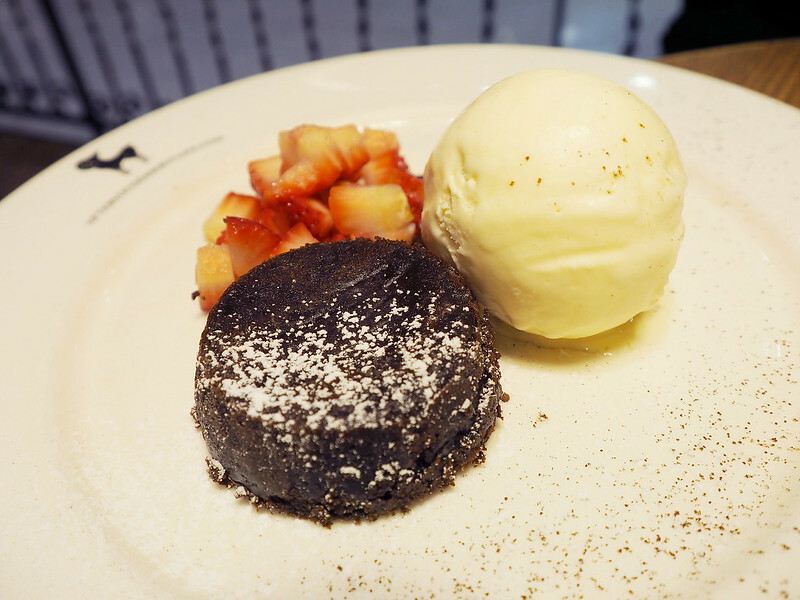 Love-hate relationship with this dessert cuz I always have to depend on my luck to find the stall. 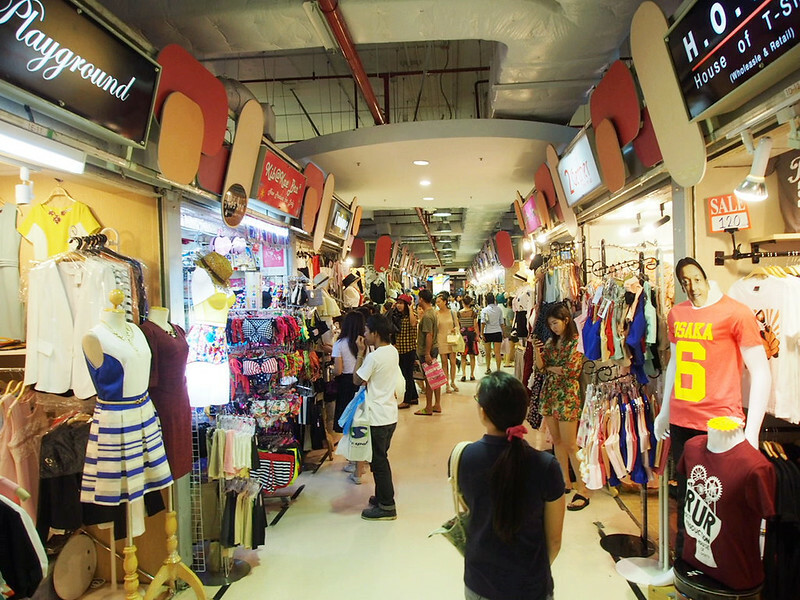 Chatuchak can be this crazily confusing at times. 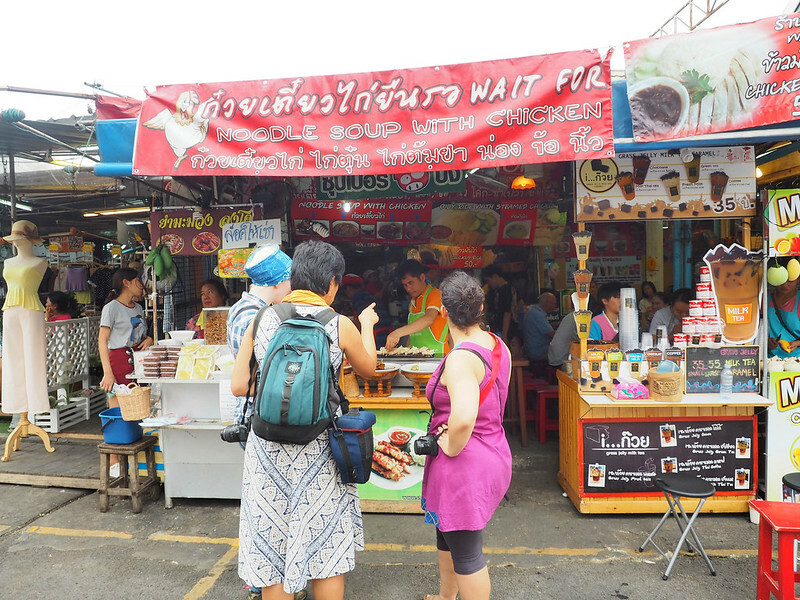 At the food section in Chatuchak... you can find a wide range of food. 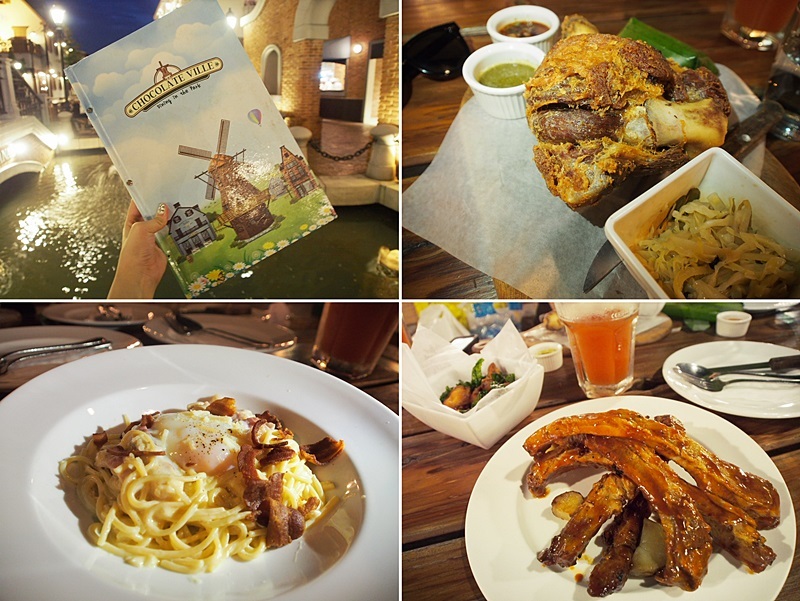 Whether you are into thai food tzechar style, or just random meatballs & pork chops, this is the ultimate place for you! 6 levels of insane shopping!! Not much for the guys... but GIRLS BE PREPARED! 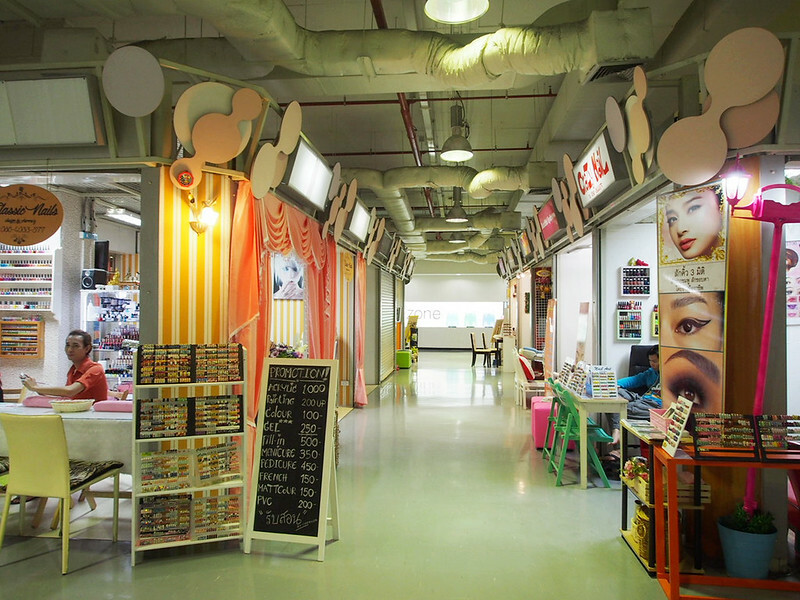 This is actually a wholesale mall, so the more you buy, the cheaper is it! The usual min pieces to buy in a shop here for wholesale is 3 pieces (u can mix and match anything inside the store), but there will be stores willing to sell you items at wholesale price too even when you buy 1 or 2 pieces. Just remember to bargain your way through!! The Platinum Mall closes by 6pm. 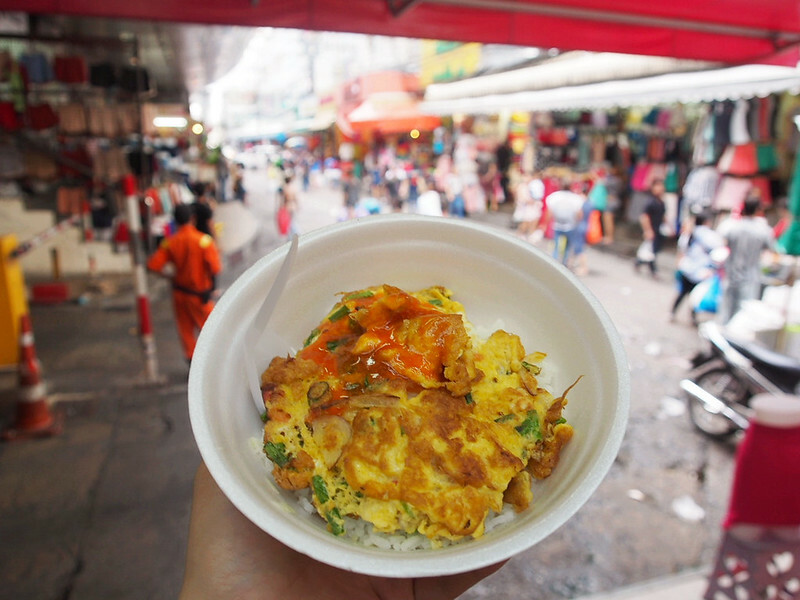 Do wake up really early for the morning market because most stalls are closed by 10-11am. I usually drag myself out of bed at 8am and head straight to the market. Really convenient and accessible since I always stay at Pratunam area. 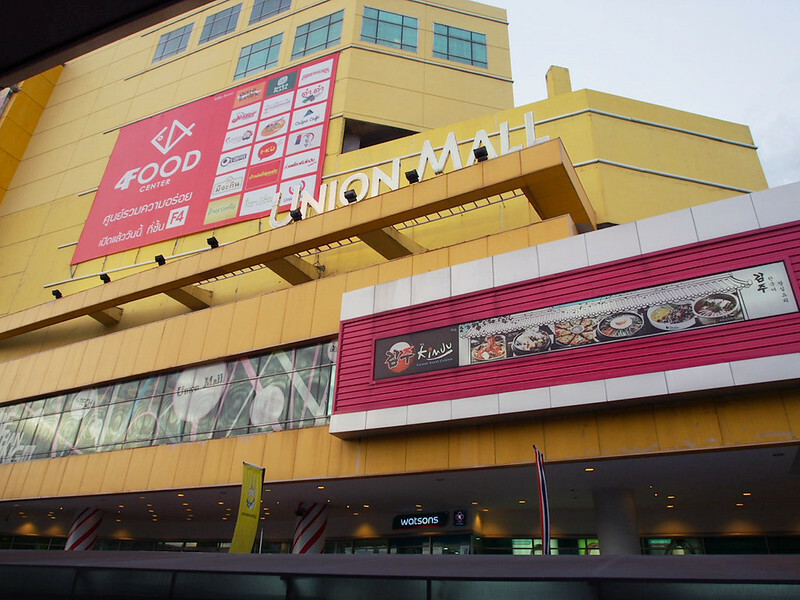 Also, good news for the guys cuz there's much more selections for you here at Union Mall compared to Platinum! 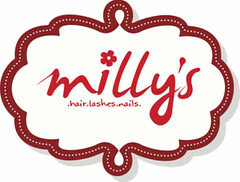 At the top level, it's filled with mostly Manicure & Pedicure shops! 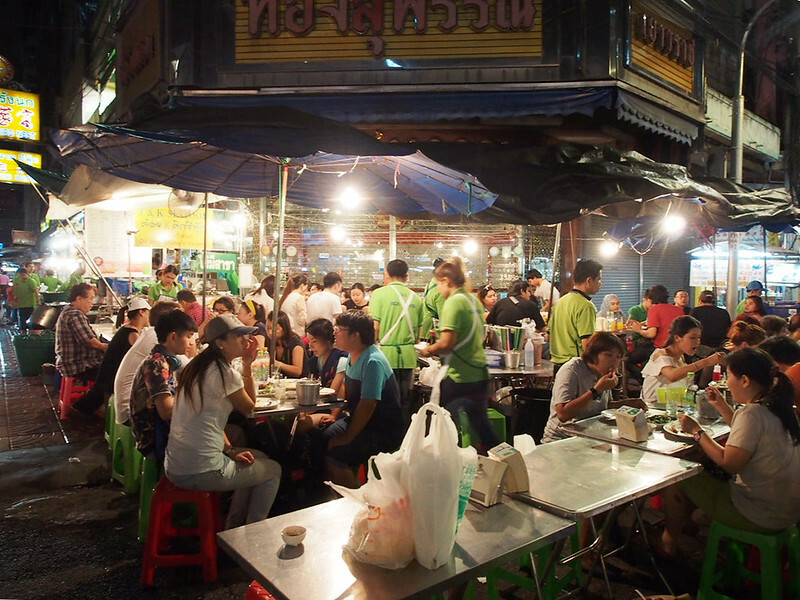 This is more like a night market for the locals! Didn't see much tourists when I was there the previous time. Opens late till 5am. 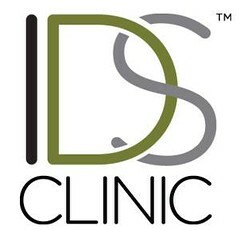 That said, this is also the place to go if you wanna buy imitated brands. Lots of fake Tiff&Co, Chanel, Prada..... the list is never ending. 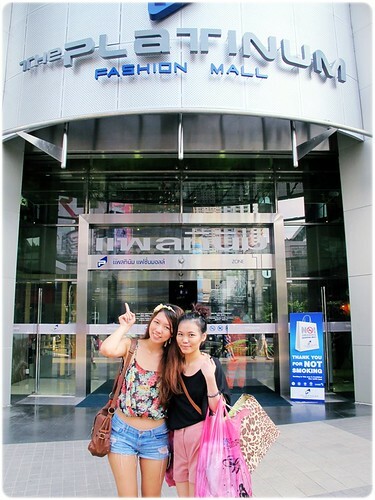 I used to visit here for the Naraya store cuz the Naraya is much cheaper than elsewhere! 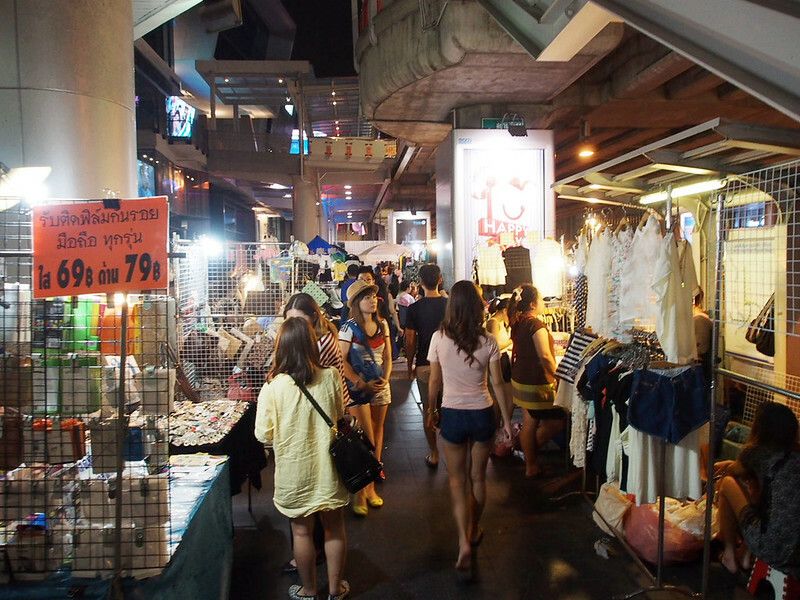 The whole stretch right outside Siam Paragon becomes active at night with these never ending street side vendors! 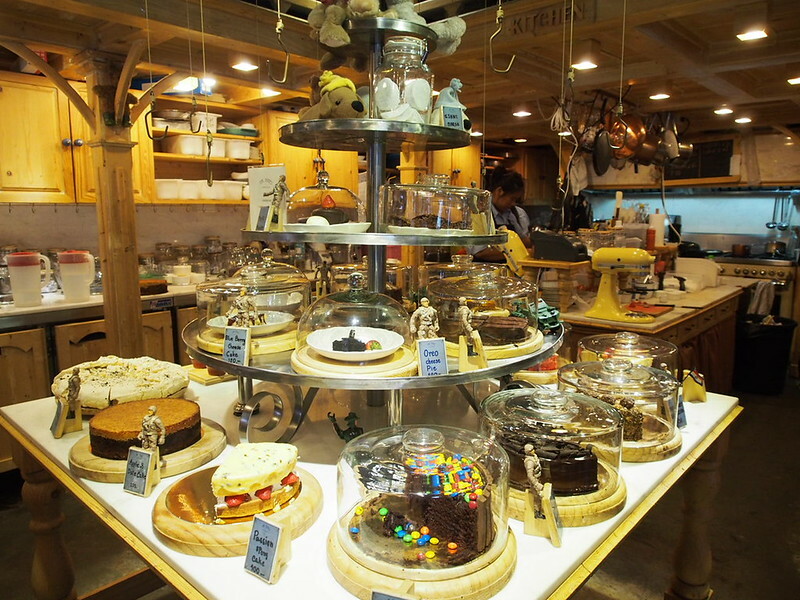 A dessert cafe well known for their Shibuya Honey Toast! 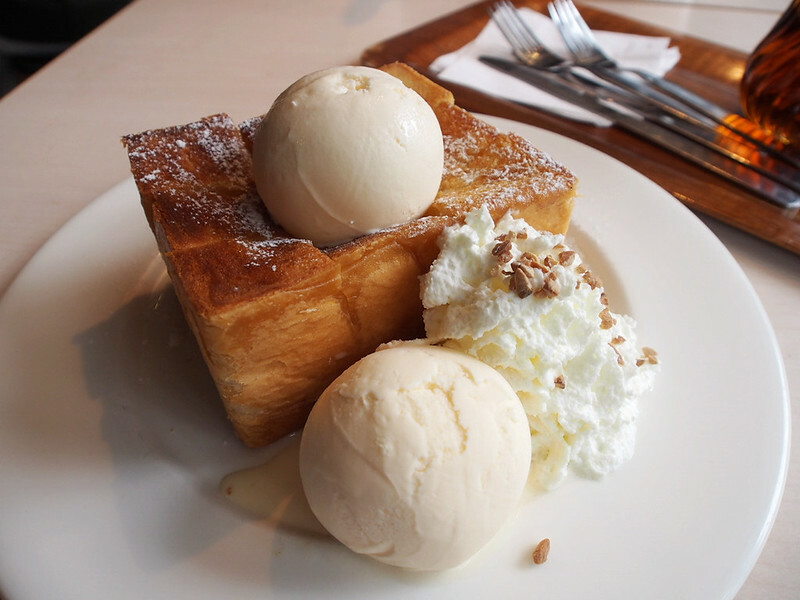 The highly raved Shibuya Honey Toast. A #musteat whenever I am in Bangkok!! Can someone franchise this over to Sg please? 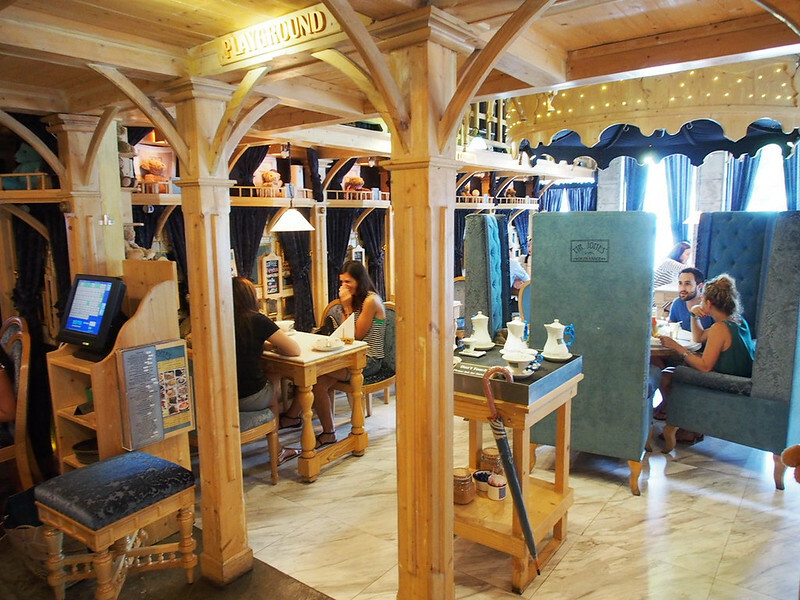 For a cafe looking like this, I was expecting the food to be on the higher end but it turned out to be pretty affordable! 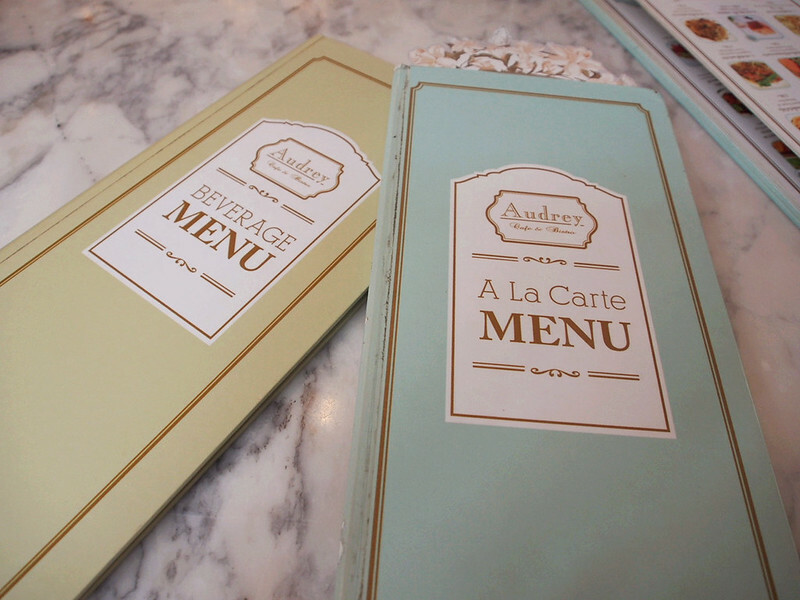 Audrey Cafe serves Thai Fusion food and most are priced at about SGD$10/dish. You know you are near when you see this small dirty canal. 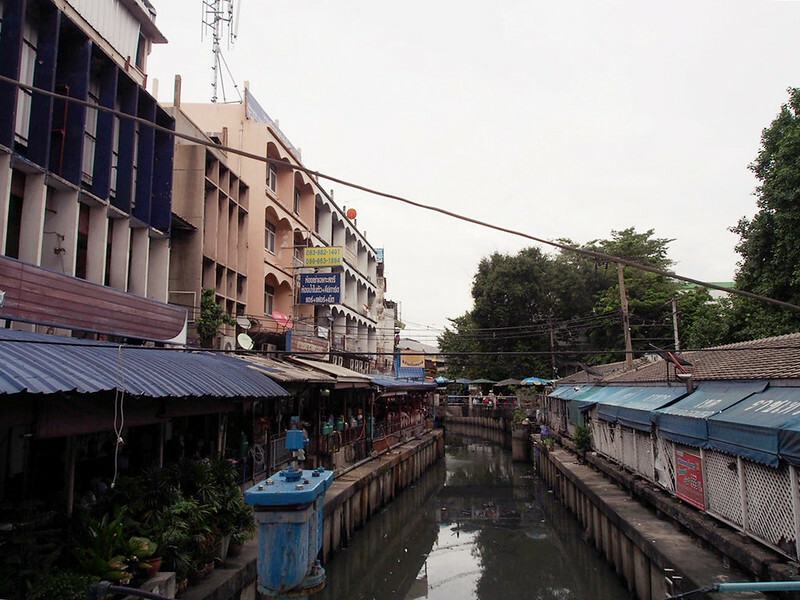 All of the Boat Noodles stalls are located on the left side of the canal. 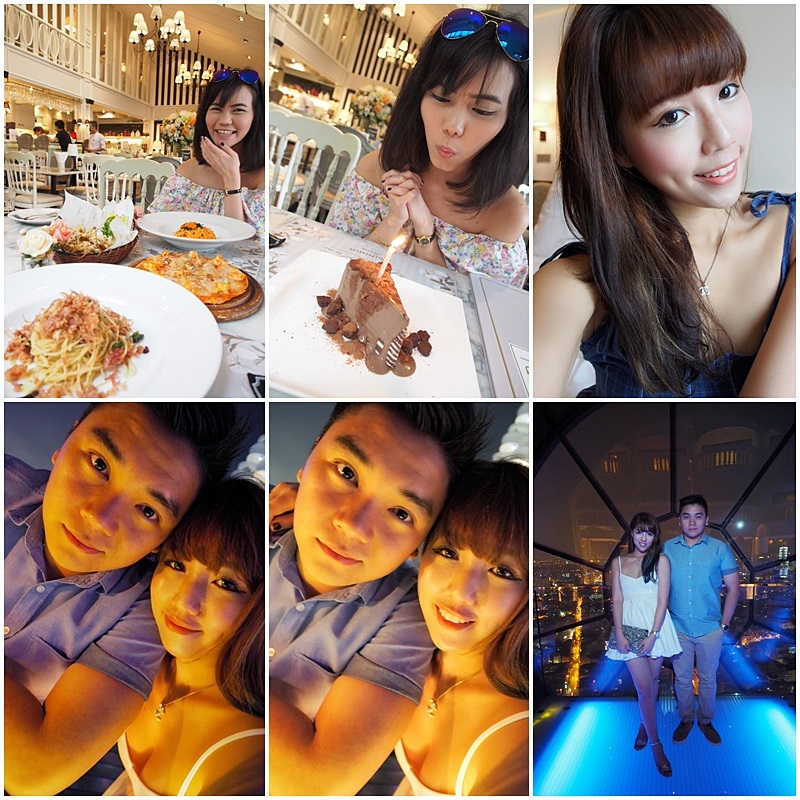 My first time to Bo.Lan during my previous trip with H! 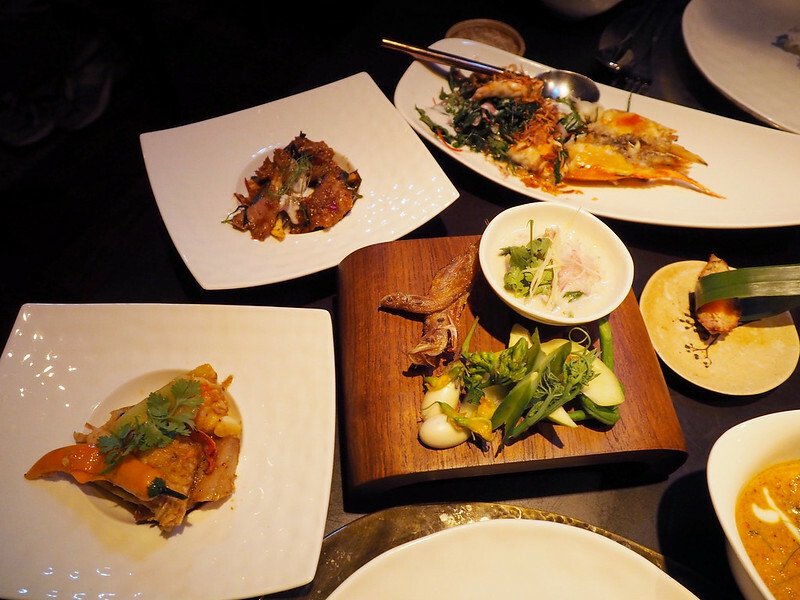 We had initially wanted to try Nahm but it was fully booked when we tried to reserve, so Bo.Lan was next on the list for BKK in the top 50 restaurants in Asia! 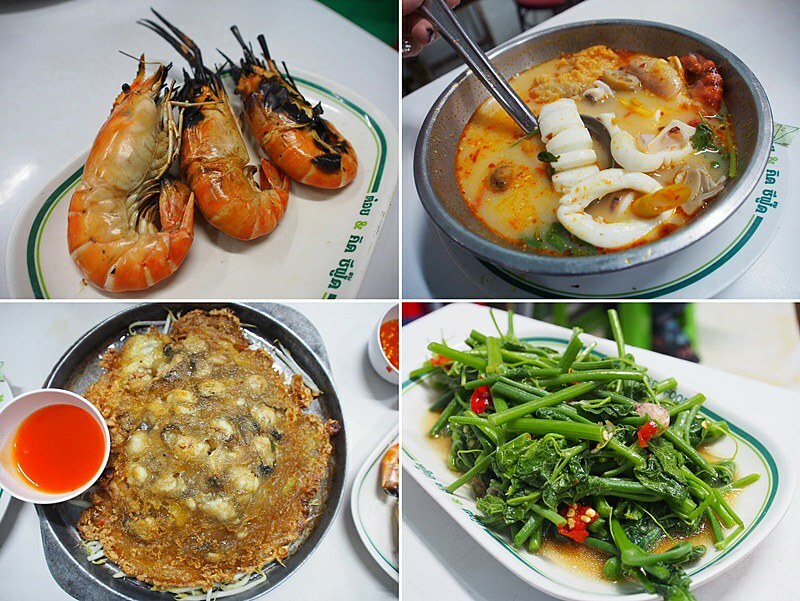 Thai cuisine fine dining! 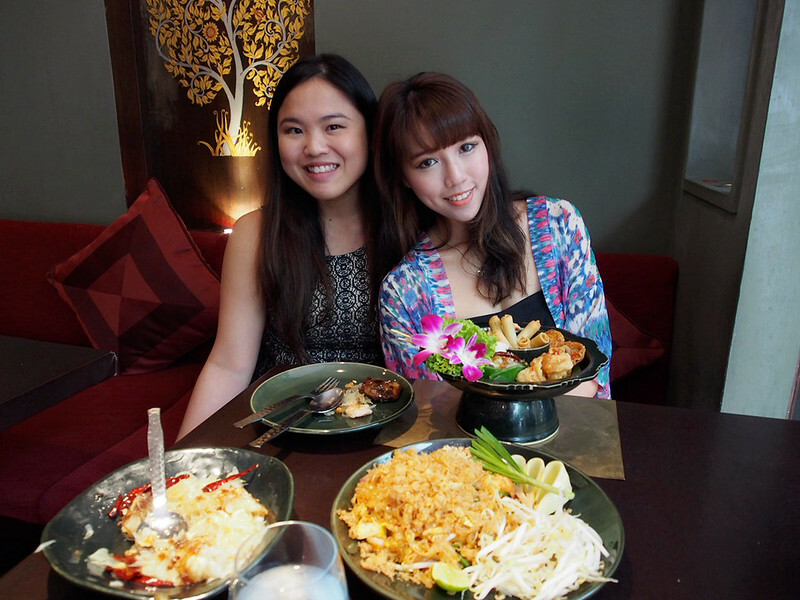 My first time experiencing eating Thai food in such a way so it was pretty refreshing to me! So so yummmehhh. 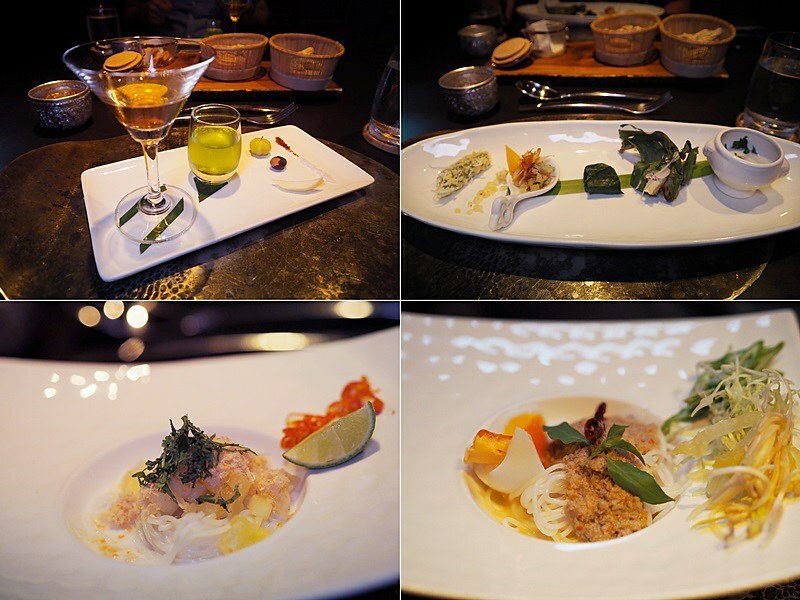 Some dishes were a tad too spicy for me though! 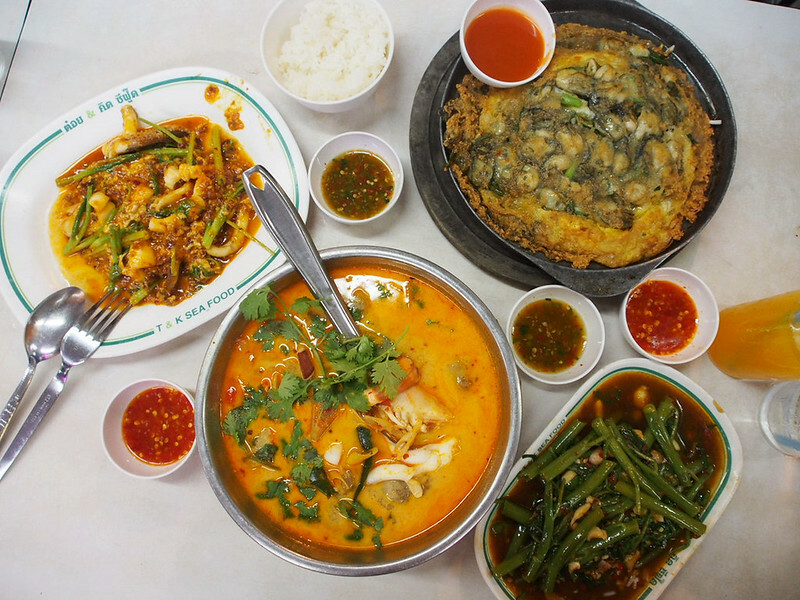 Omgawd give me that green curry beef NOW. By the time we were down to this last dessert, H and I were so darn full that we couldn't finish this at all. The only downside? It takes about an hour to get here via cab which is kinda time consuming! Every single place is just so photo worthy! 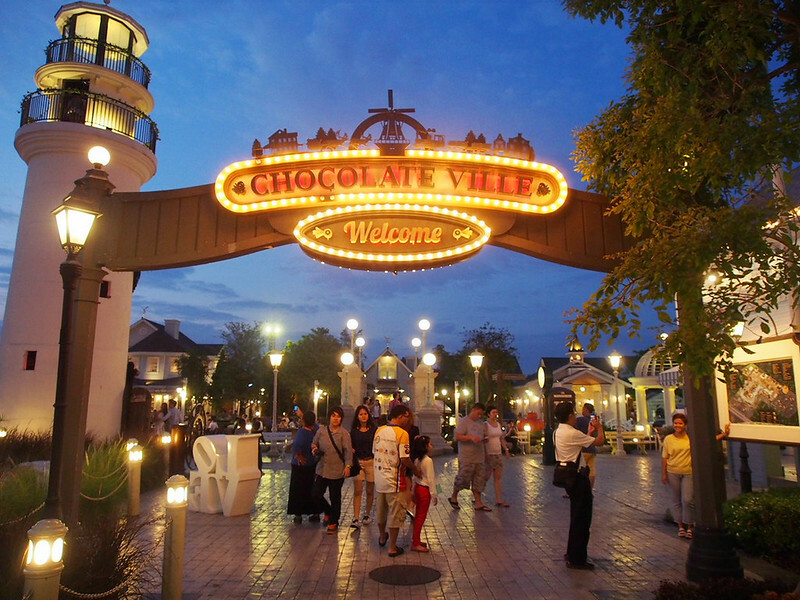 Take a night stroll at the park after you're done with your dinner! So so sweet!! 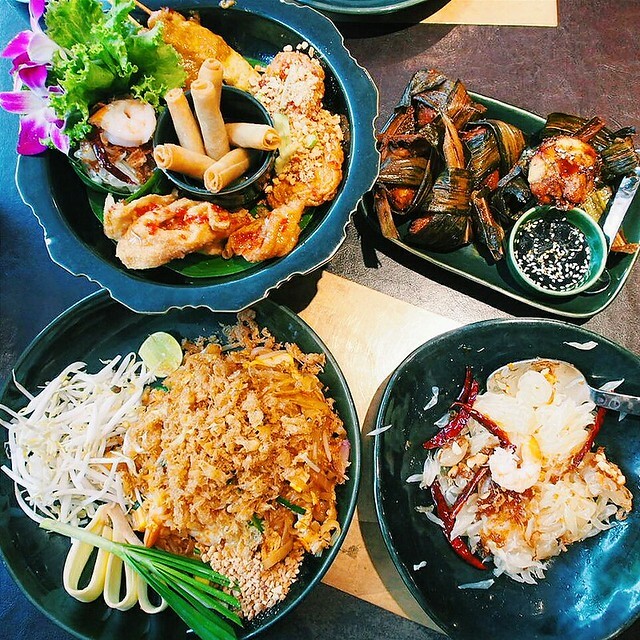 Serves modern Thai food as well as many other international dishes such as pasta. 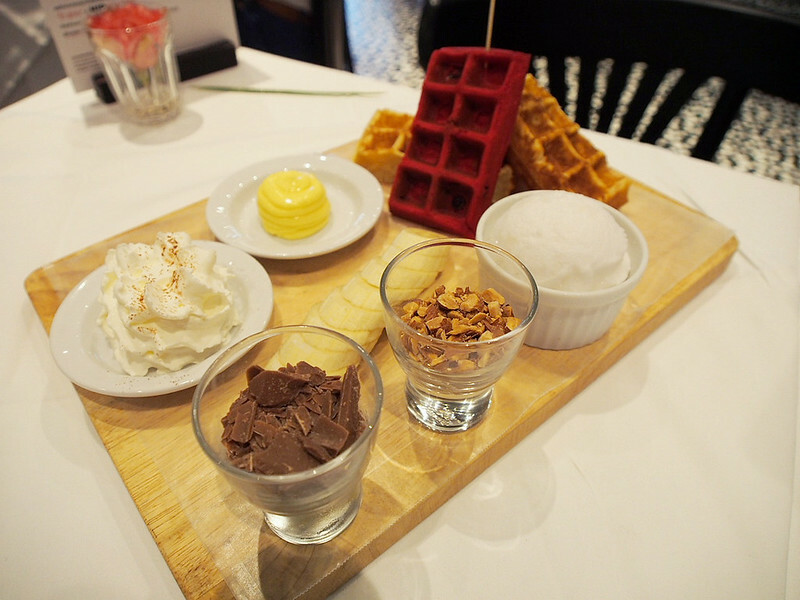 They are also well known for their Red Velvet Waffles!! Just the look of it is already damn appetizing! 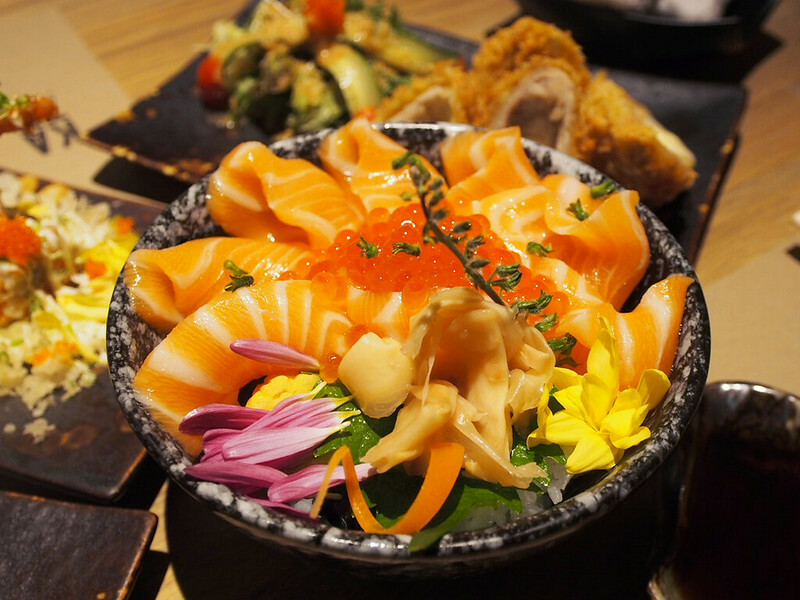 One of their signature dish - 'Jackie' for the shrimp lovers! 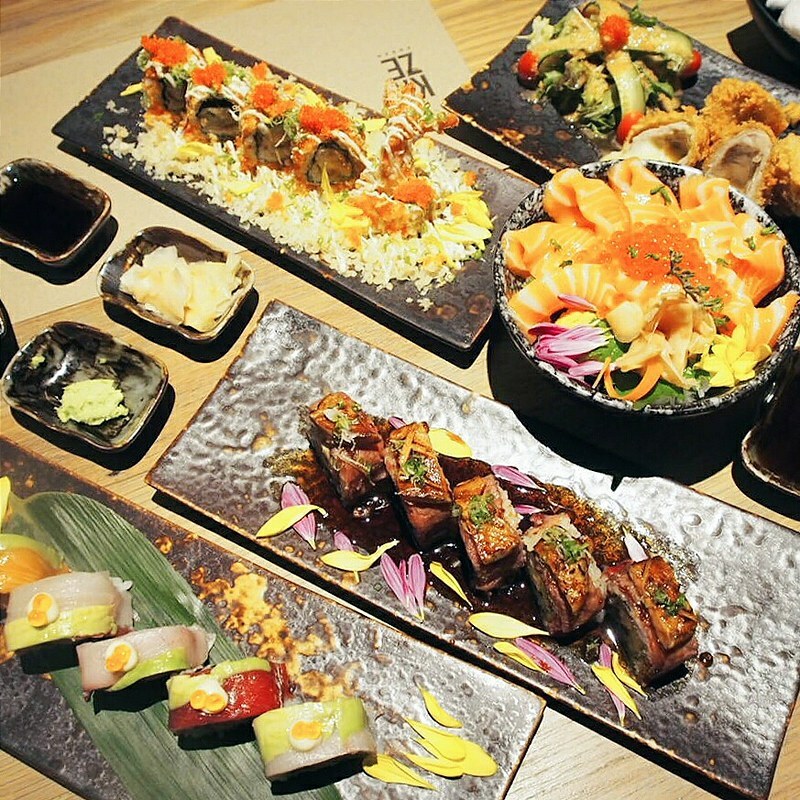 And this dish is personally my favourite at ISAO! 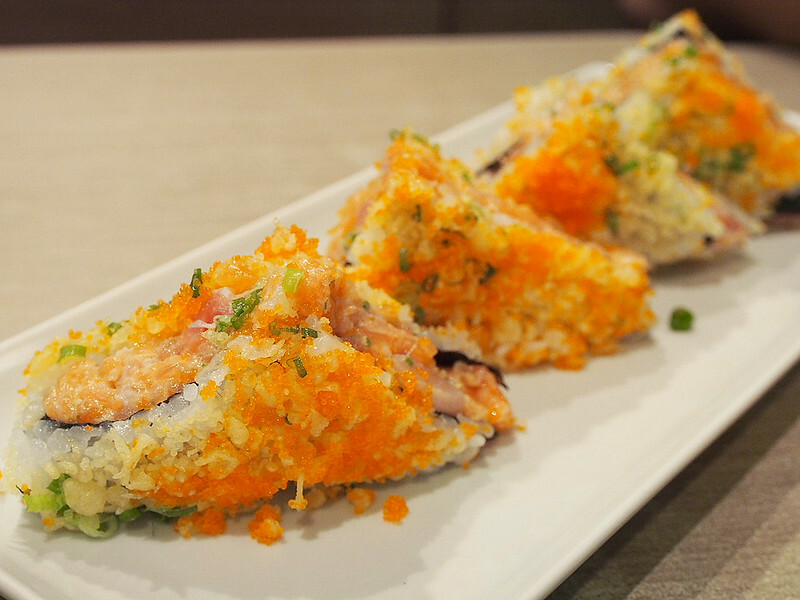 SUSHI SANDWICH! 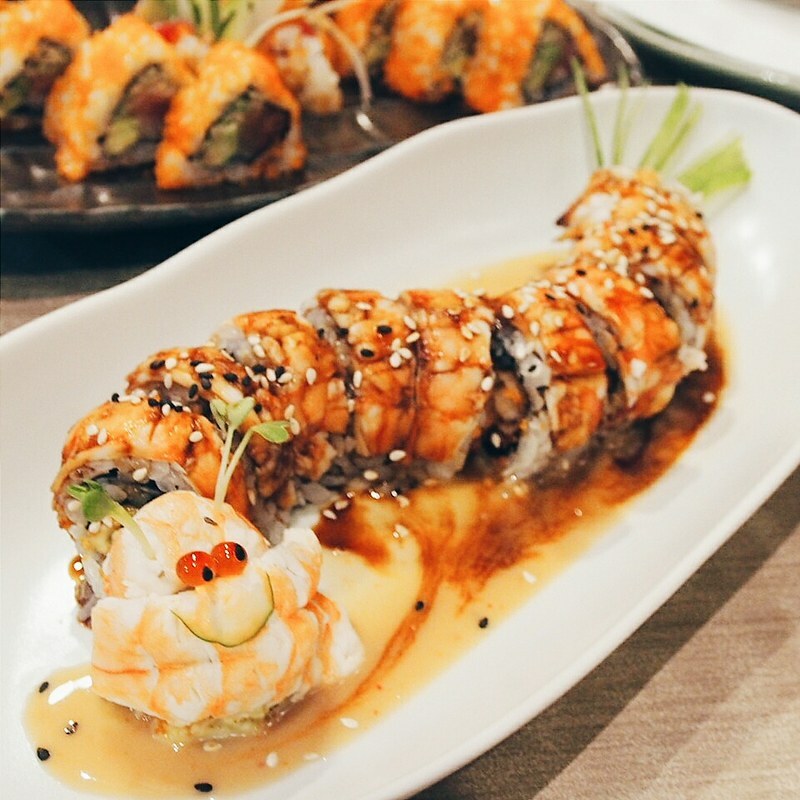 Filled with plenty of fresh fish and tempura flake. I miss this!!! 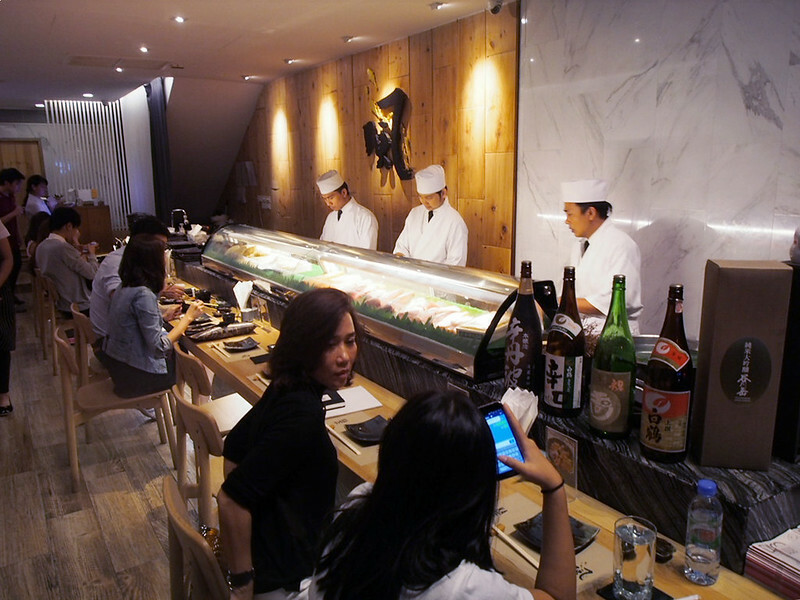 Another famous Japanese restaurant located in Thong Lor! 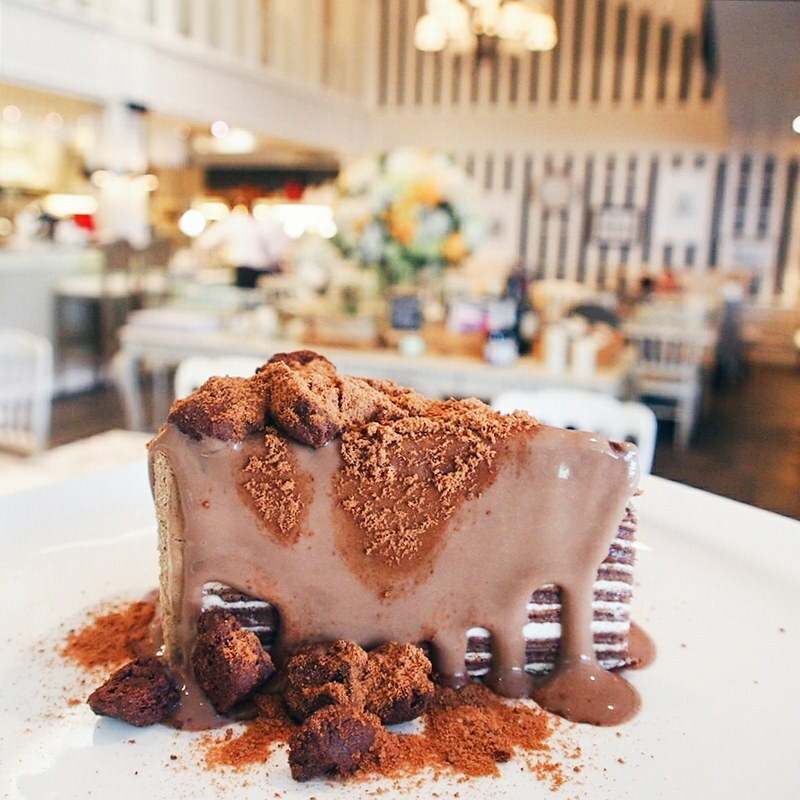 Heaven for you cake lovers out there! 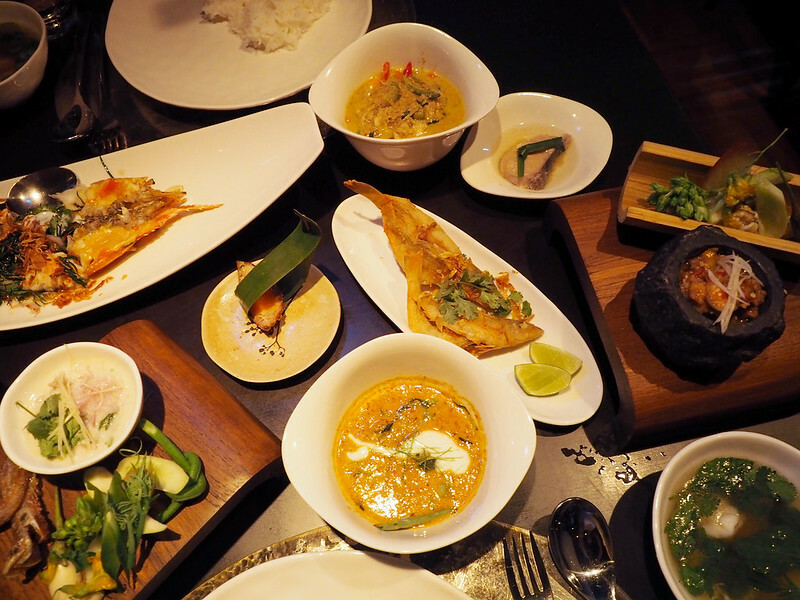 Experience authentic Thai food in a relaxed ambience here at NARA. 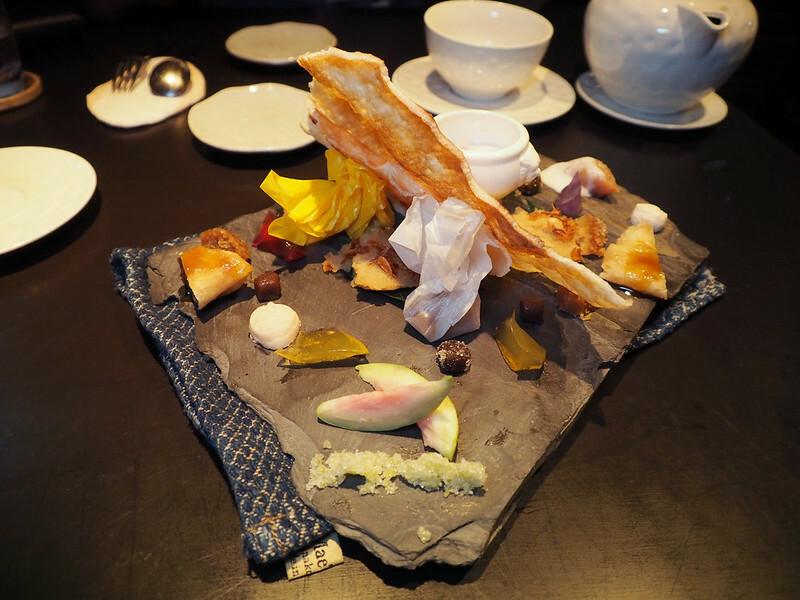 And one of the highlight at NARA would certainly be their Coconut Ice Cream! 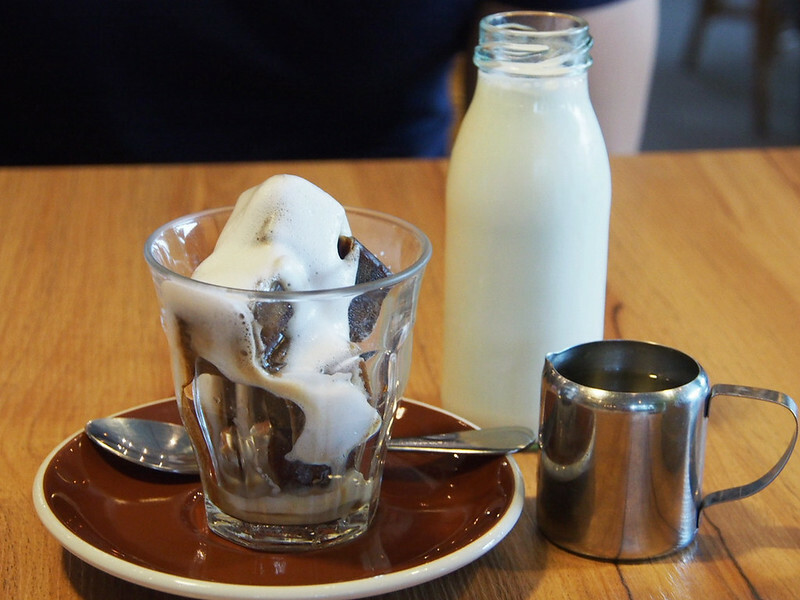 They actually serve you with an entire tray of toppings to go with your coconut ice cream, and you can eat as much toppings as you want! Located right above Mr Jones Orphanage! So it's actually convenient. 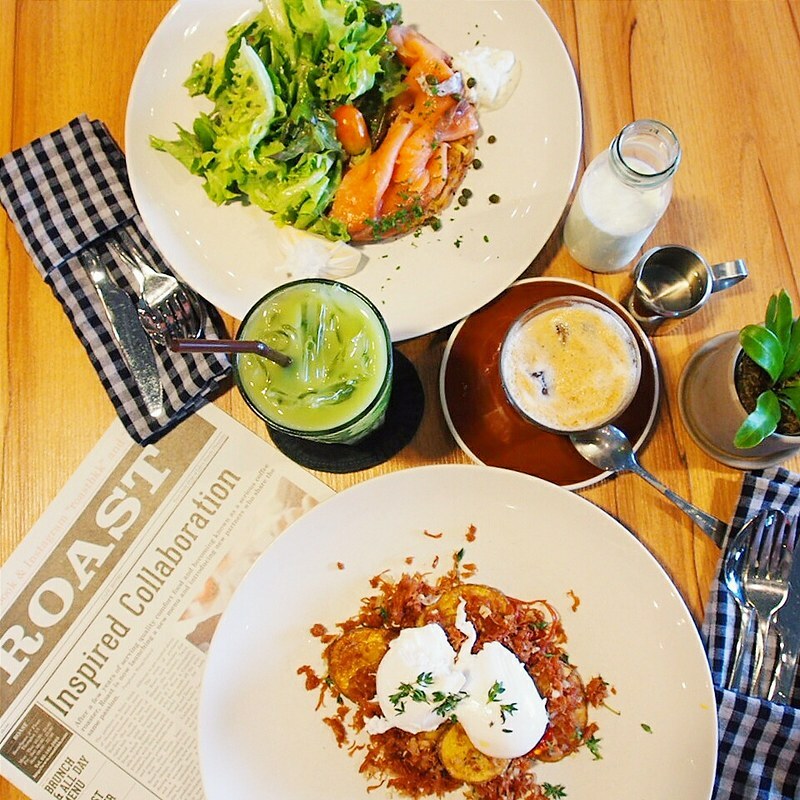 You can have your brunch at Roast followed by desserts at Mr Jones Orphanage! 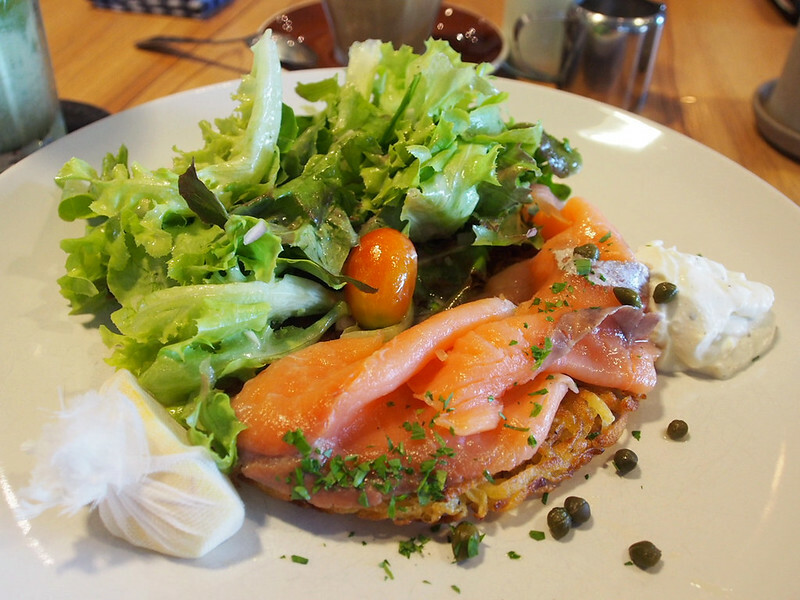 Really good brunch food but avoid coming during the weekends cuz it's so crowded! 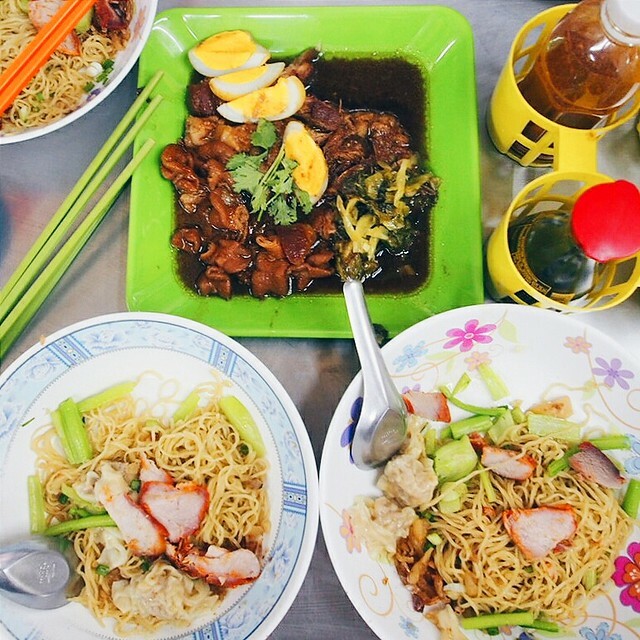 The famous Soi 19 Wanton Mee which captured all of our hearts & stomachs. Need I say more? The serving is kinda small so I usually go for 2 bowls. 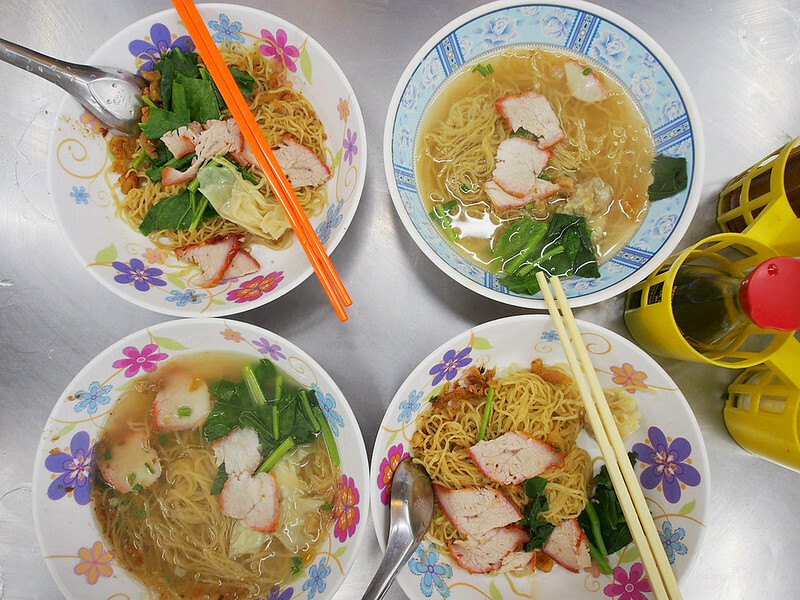 And personally, I prefer the dry wanton mee to the soup. The braised pork is one of their star dish too, but it gets sold out really fast. So come early to avoid disappointment! 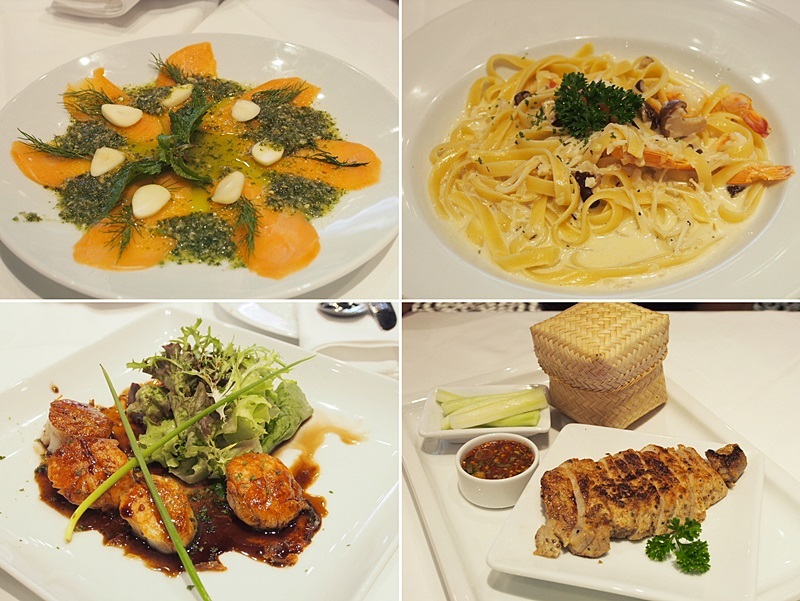 Everything for only about sgd$40! 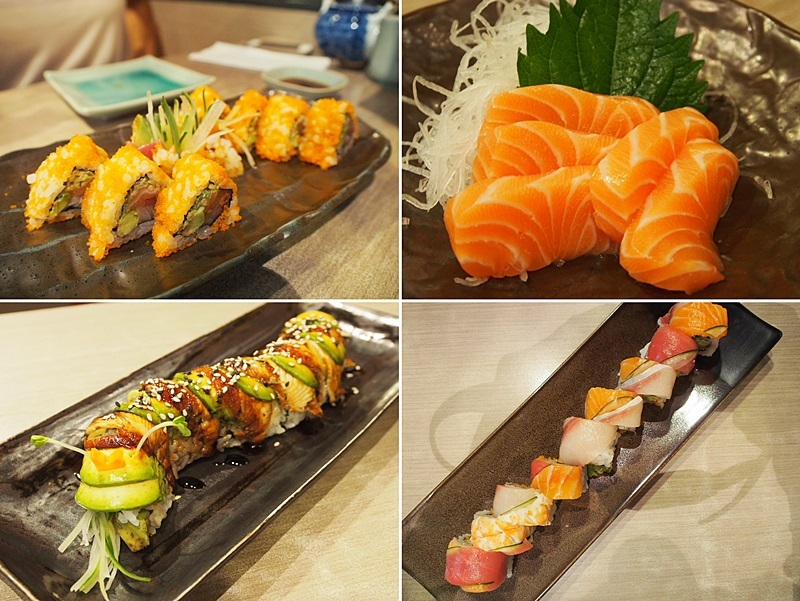 CHEAP & GOOD! 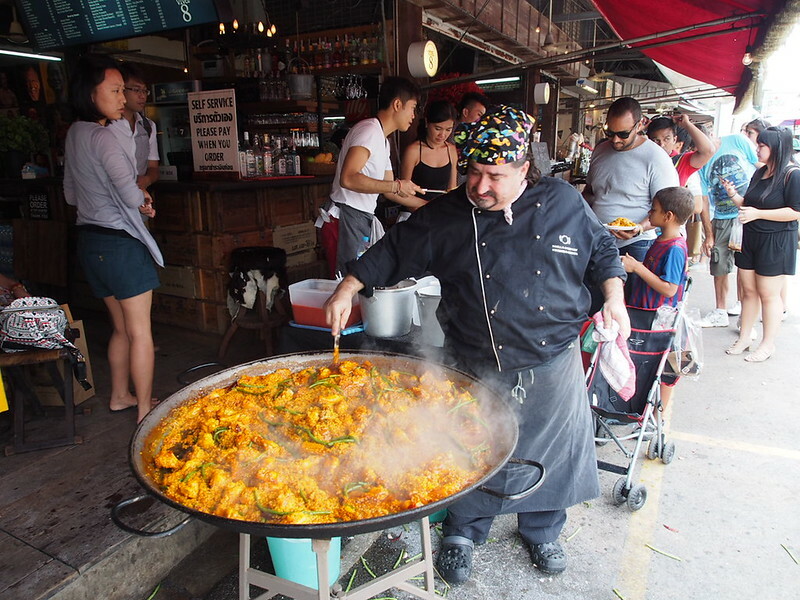 15) STREET SIDE FOOD Don't be afraid to try their local street side food. 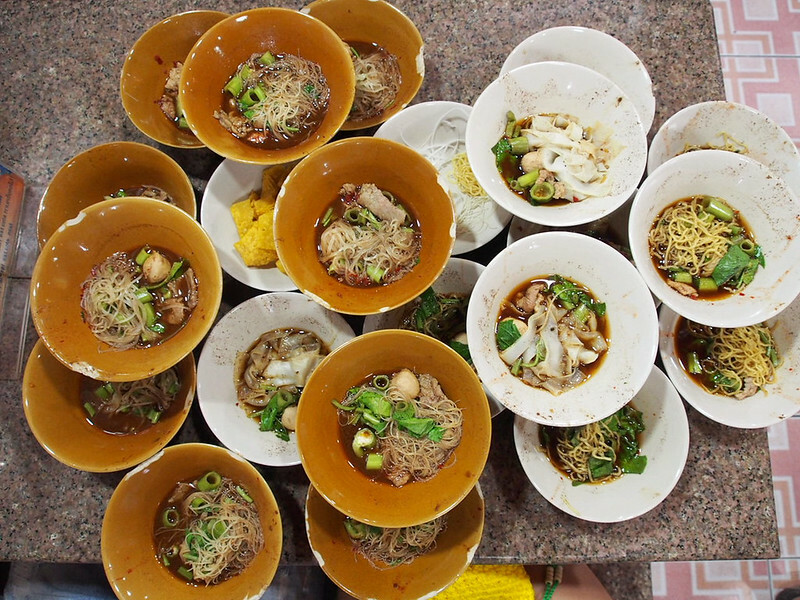 It may look unhygienic but that's the way Thailand is! 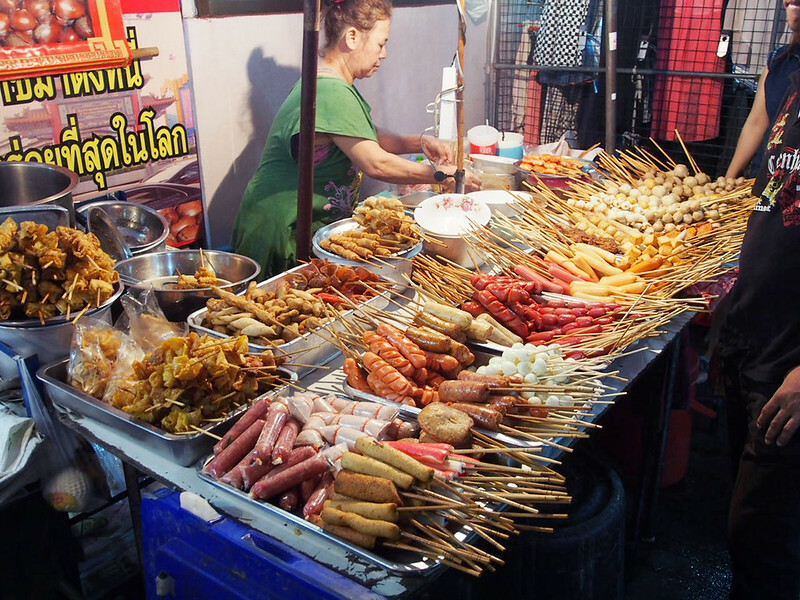 Some of their street side food are actually pretty legit. 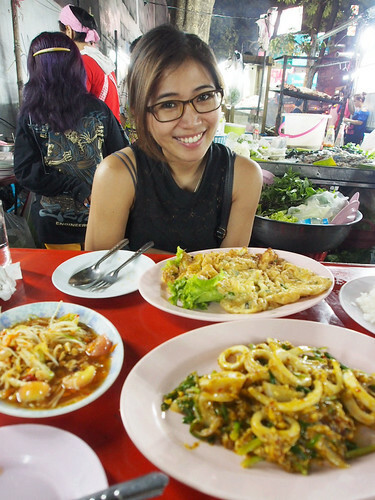 My favourite thai girlfriend, Sue & I eating at a random street side tzechar stall. 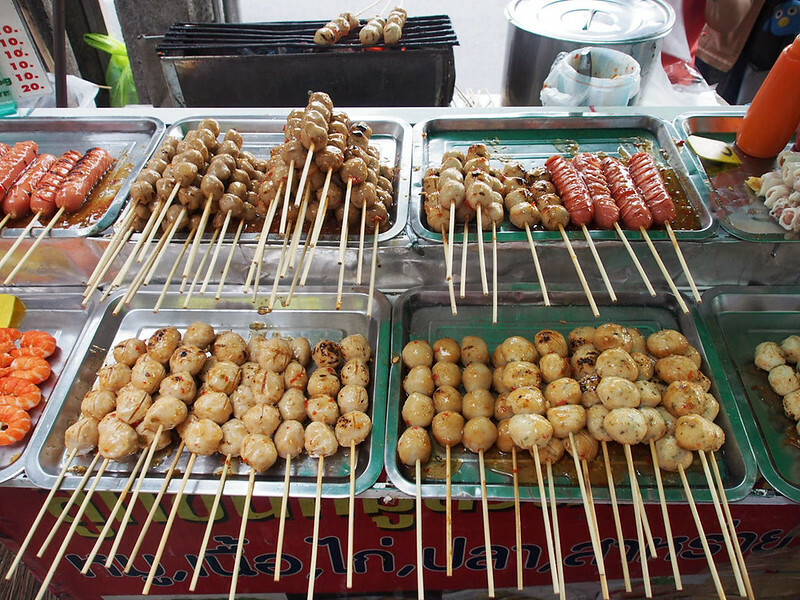 Meatballs which you can find almost everywhere in BKK. This is actually a fish coated with seasalt(?? ), stuffed with lots of herbs within the fish and then grilled to perfection. 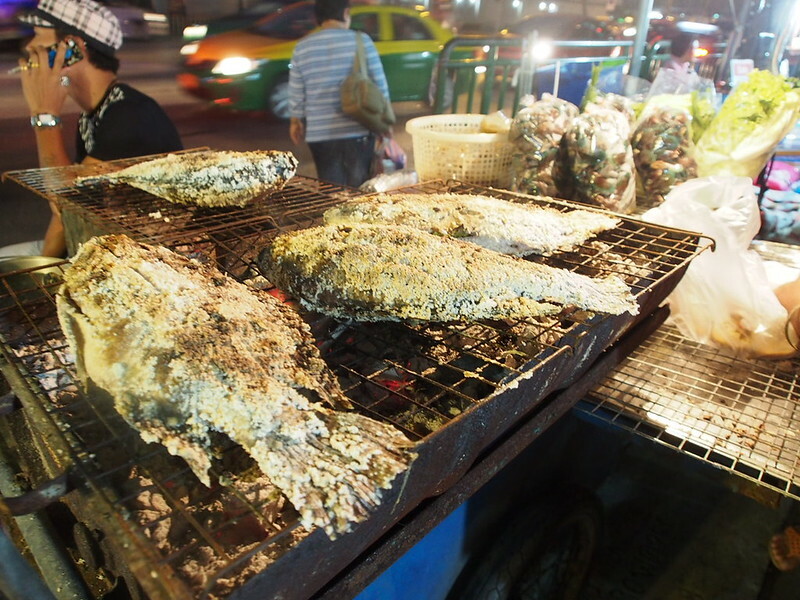 Can be found along the streets of Bangkok and boy this was tasty!! 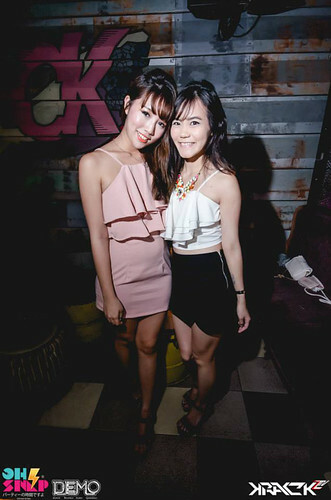 There are quite a number of up-and-rising new clubs in ThongLor and Club Demo is just one of the many! 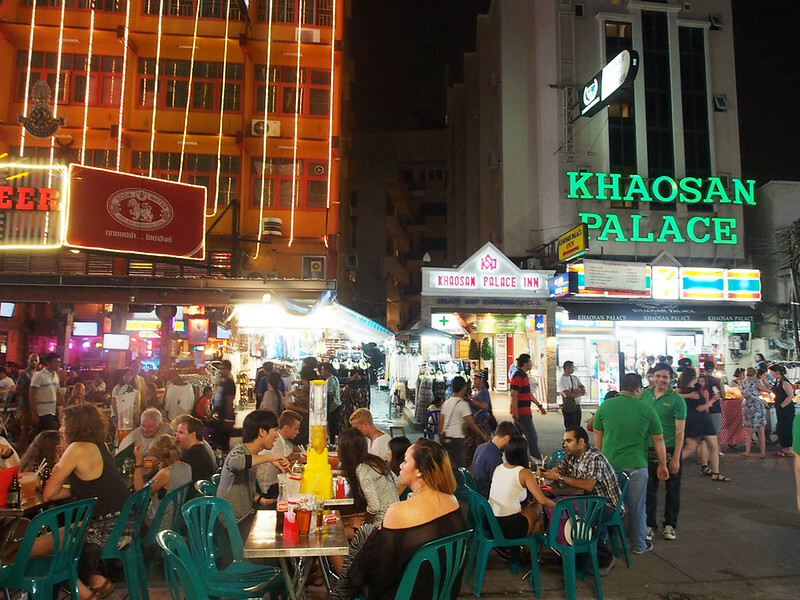 When night falls, expect this entire street at Khaosan to come alive! 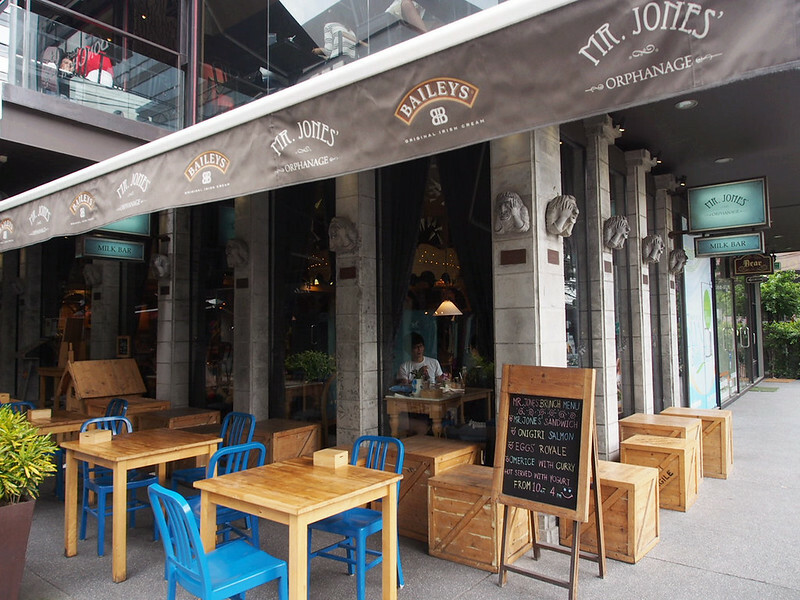 The whole street will be filled with restaurants & bars blasting music loudly in a bid to attract party-goers. 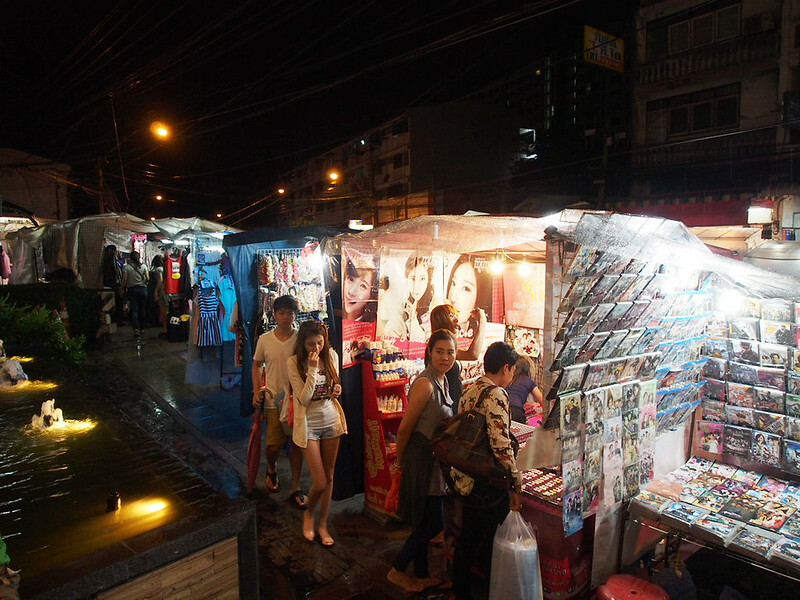 KhaoSan Road opens till late at night. 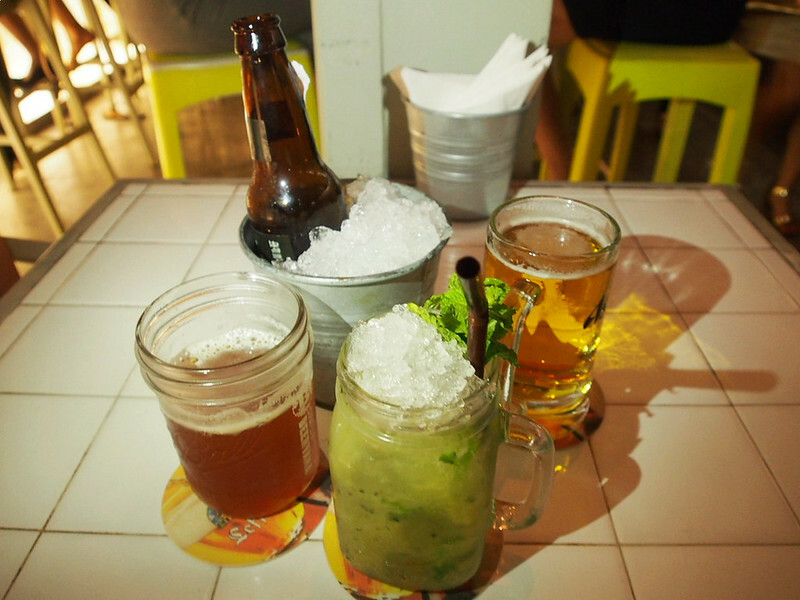 Also located in Thonglor is Bad Motel, a recent favourite among the young to chill & drink! 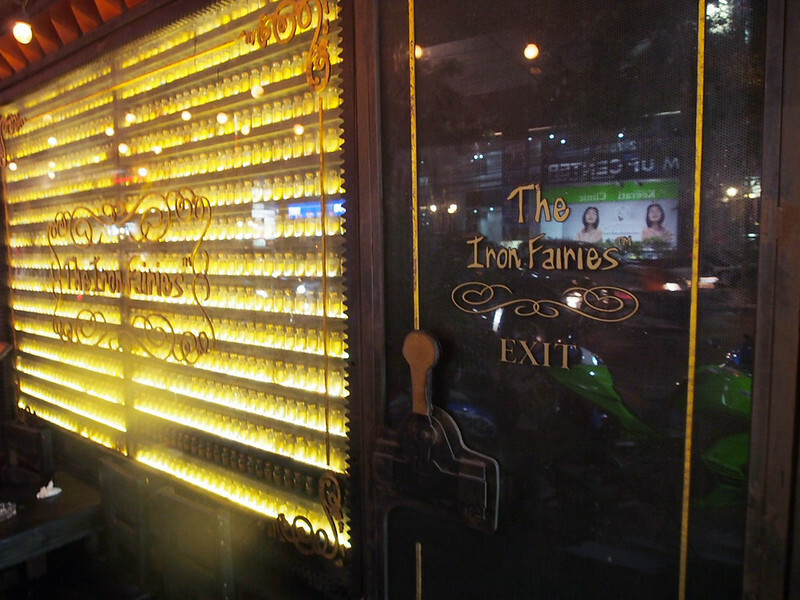 4) THE IRON FAIRIES Located just a few doors away from Bad Motel is The Iron Fairies! I tried Bad Motel instead of The Iron Fairies that day but this place seems pretty cool too. Would love to try it out one day! 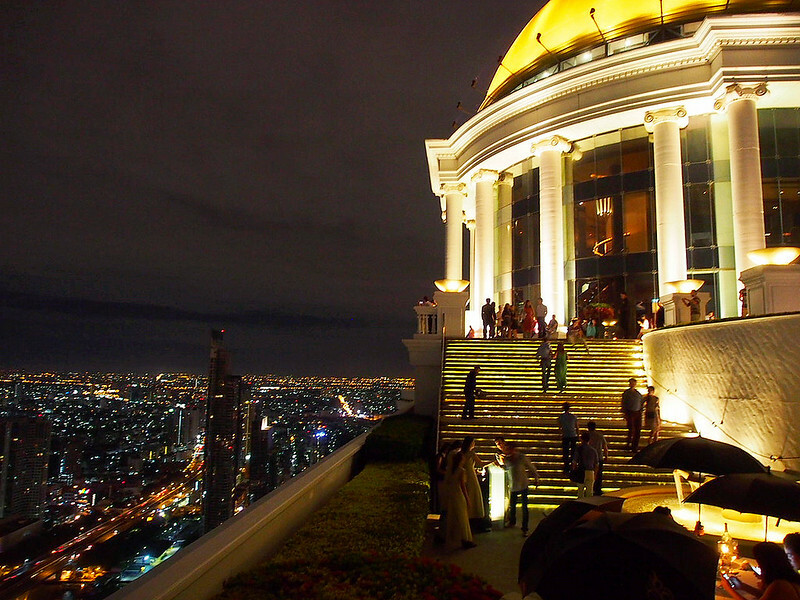 5) LEBUA AT STATE TOWER My personal favourite! This is also where they filmed the famous movie 'The Hangover 2'! Since I have been there twice, here's a tip I'd like to share with you guys! 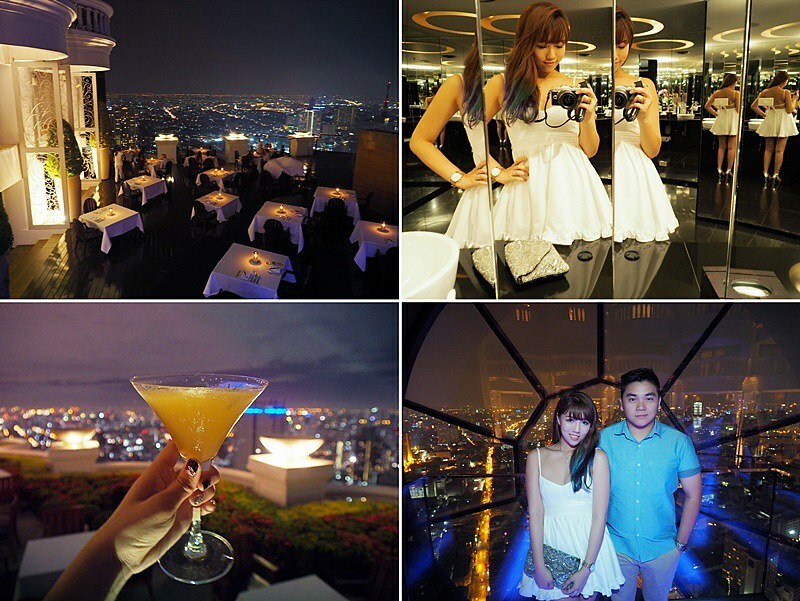 Most of the time, if you are there for just drinks, people would head straight up to The Skybar (located at the highest level of Lebua). 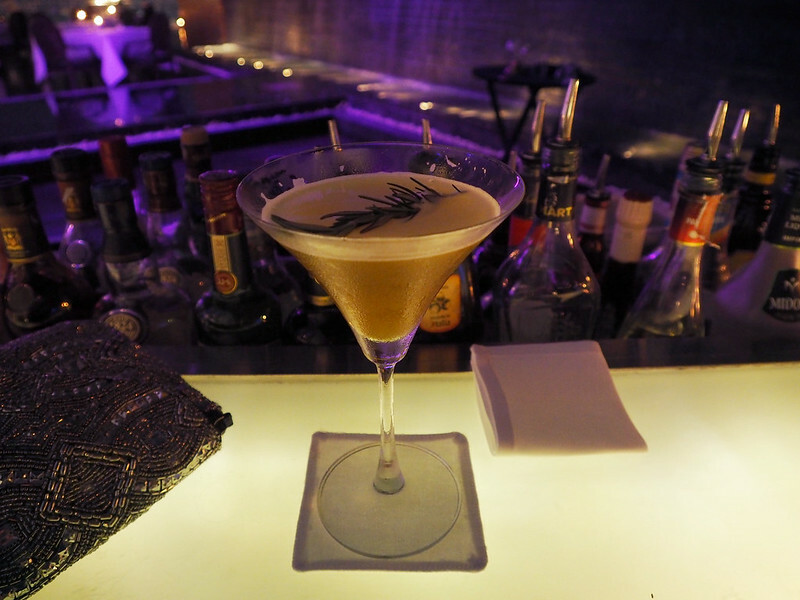 However, the SkyBar is constantly PACKED and you practically have zero space to move around. Also, there are NO SEATS. Which kinda sux, Imagine just standing around with a big crowd and sipping your cocktail.... No go, no go. 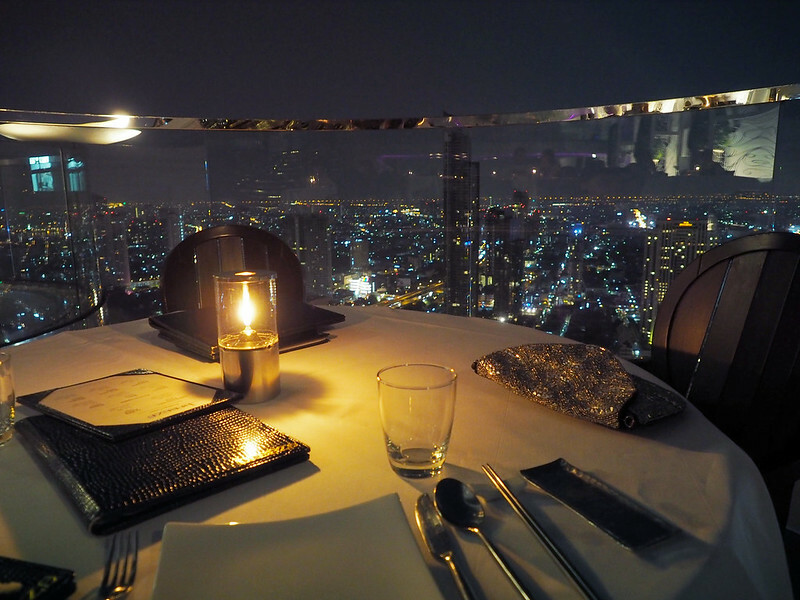 During my 2nd trip when I was there, I made a reservation at 'BREEZE' (it's just a few levels below Skybar) and boy this place is SO MUCH BETTER. I had a proper good seat while sipping my Hangovertini Once you are done with your cocktails & a lovely chat with your date etc, you can head up to the highest level then to snap your mandatory shots of the Dome ;) The below few pictures are all taken while I was at Breeze. 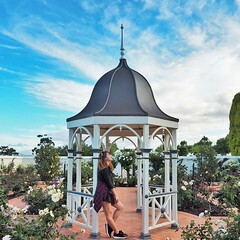 Such a lovely place to take pictures at The Breeze with no interruptions! 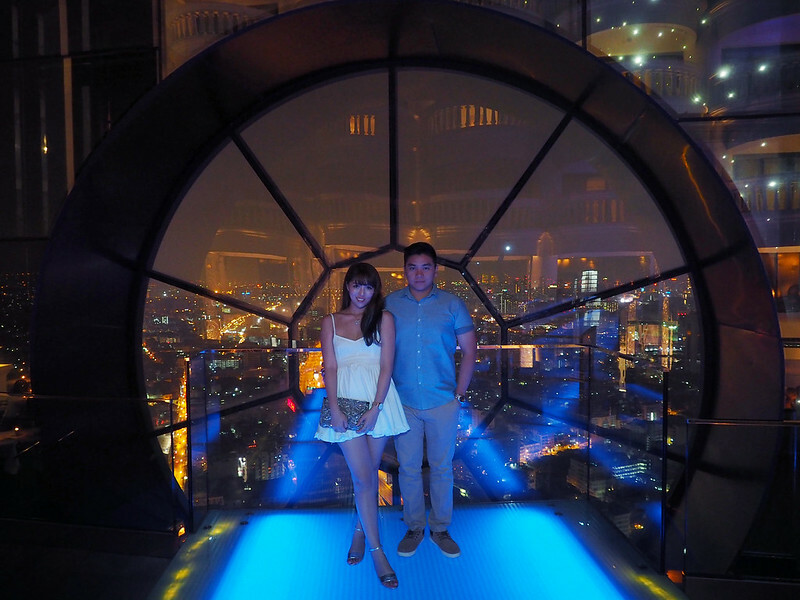 I then proceed on to the highest level where The Skybar is located, and here's the famous Dome! You can almost see people photobombing me here.... Mad crowded esp during the weekends! - - - One other activity I would do when I am in Bangkok is to visit the Erawan Shrine (4 Face Buddha) when I am here! We took the picture at the same location and tried to imitate the same pose to the best of our ability! Hahaha omg look at how much we have changed!! 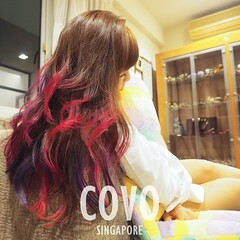 On a side note guys, I am loving this site [https://www.shopback.sg/]. So basically you get money back when you shop :) It's pretty cool cuz they have a tons of great travel shops with them. 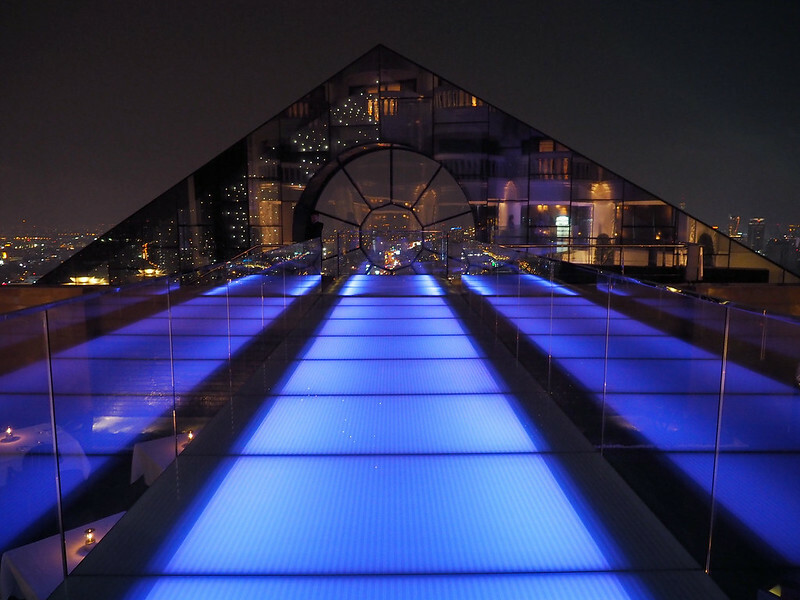 Do check out these great hotel and flight deals. One of the travel booking sites they have is Expedia, which has a price-match policy so you know you're getting the cheapest flights, hotels etc. It's perfect for me since I travel alot, and great for any one of you guys out there who will be travelling in the near future! Click here to check out Expedia ! - - - Gosh this post took longer than expected to finish!!! 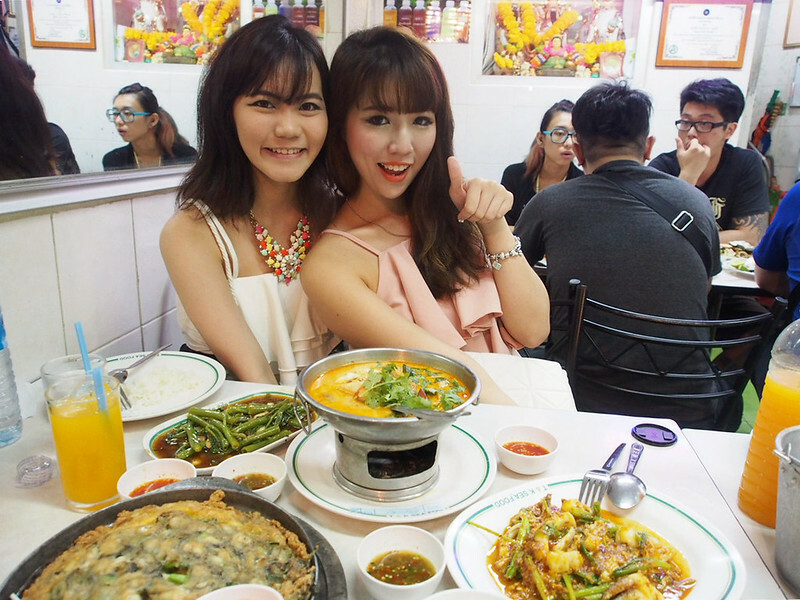 I hope this post helps you in a way or other in your BKK trip planning ;) You may also view my BKK VLOG during my recent trip over here (not compatible on mobile though) Have lots of fun in BKK guys!!! Wow!! 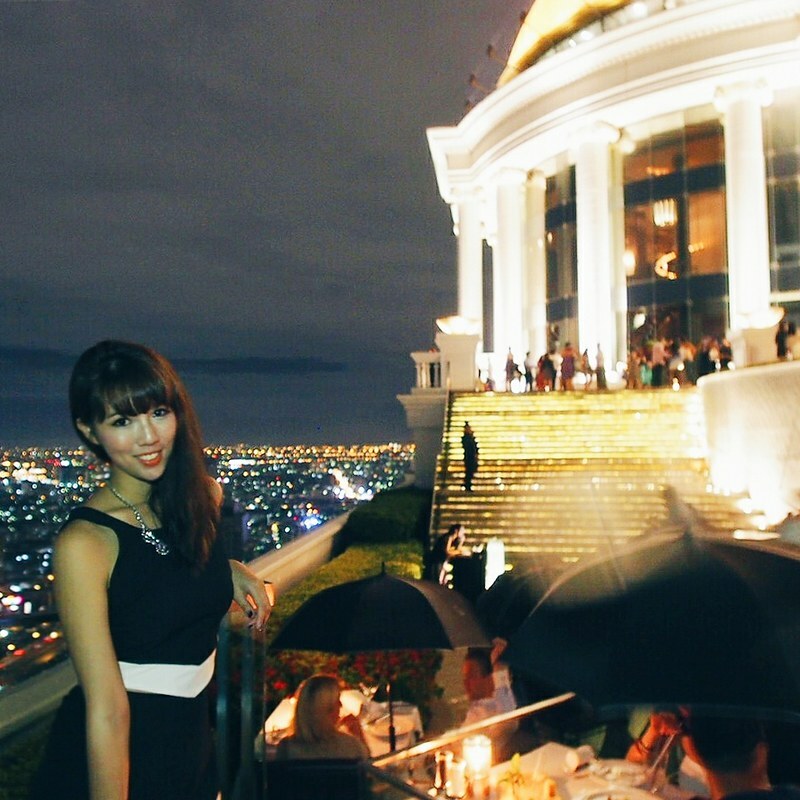 That's one of the most comprehensive guide to Bangkok I have seen! Thanks for the great stuffs, I'm gonna bookmark this. Cheers! You are welcome! Have lotsa fun!! Dear Shenny Yang, It is a very Informatics post about the City, I liked the travel and its related post , Very Beautiful Image of shenny with nice palace of Bannock. 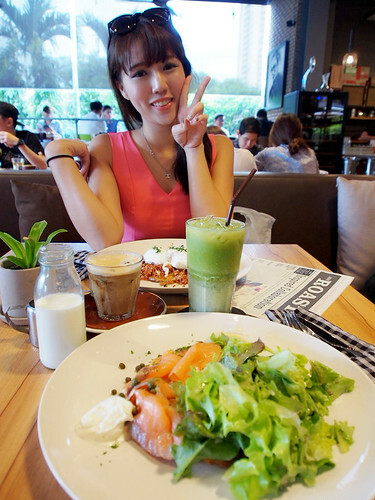 Hi ShennyYang,your blog is amazing ! I like reading your blog post as it is very precise and informative :) May i know what camera you used when travelling to Bkk ? Hello! 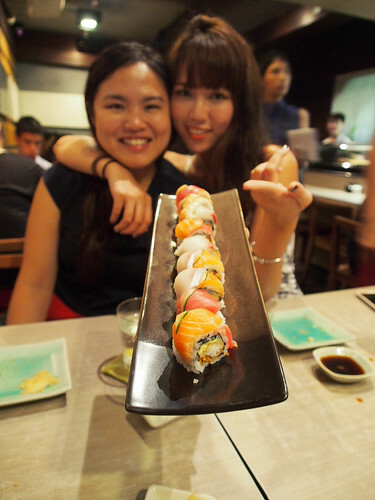 Thank you for your kind words :) I am using the Olympus Pen EPL7! Thanks for the tips, Shenny. 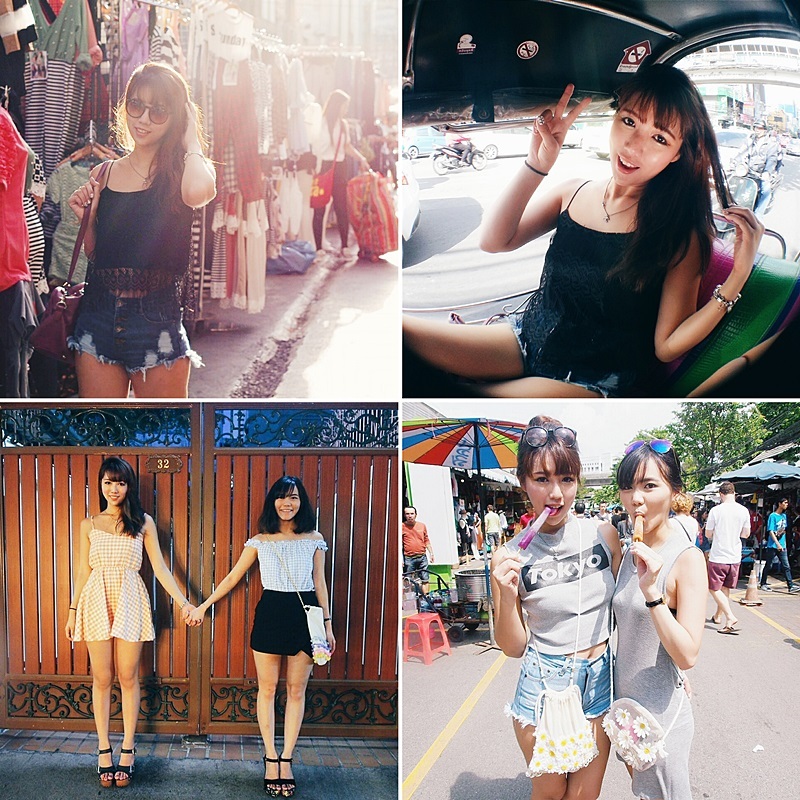 I came across your blog just as I was looking for some travel guides for BKK. 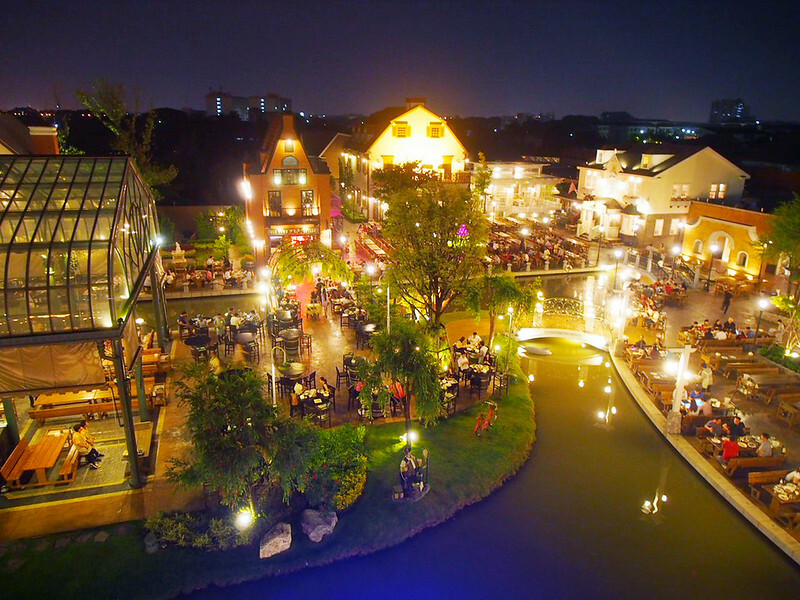 I wish I had seen your post earlier before we'd already booked the hotel at this place called Bang Rak. 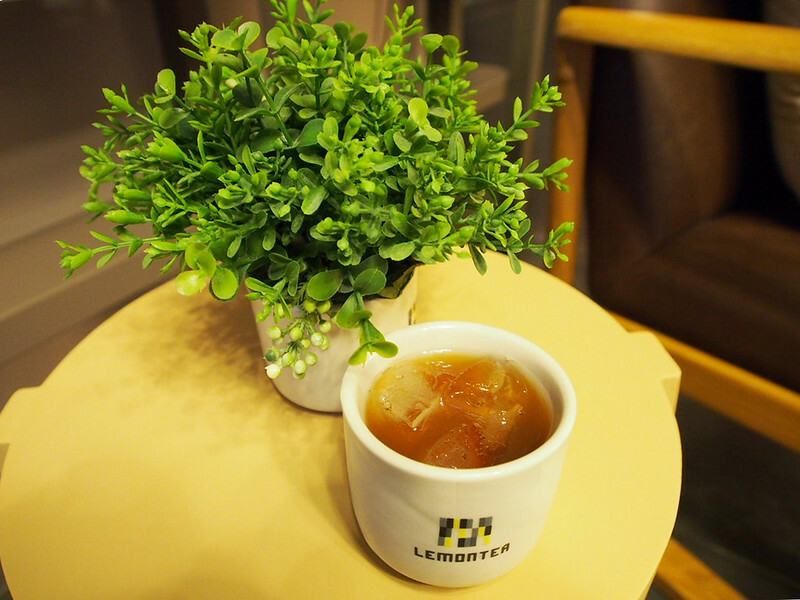 The Lemontea Hotel looks really cute. Oh well, maybe next time. 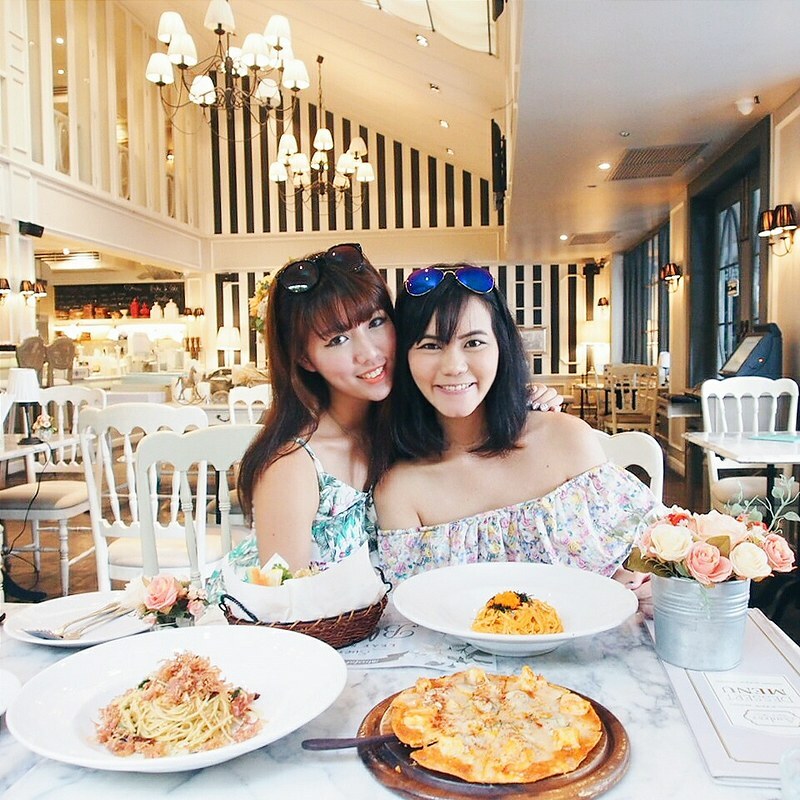 Any tips for the girls who are going to BKK for a weekend getaway? We're going to stay there for only one night. I've been there with my family about a decade ago. So this trip is going to be like the first time on our own. I hope we won't get lost. Hello! Ohno only one night in BKK?? 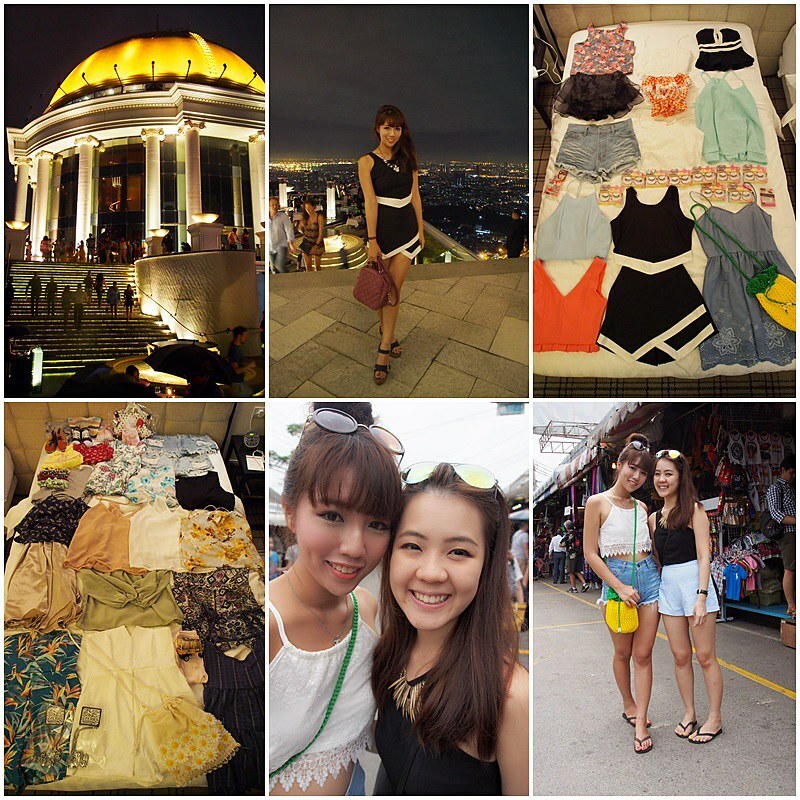 :'( well, during the weekend, the must-to-go-place will be Chatuchak market! 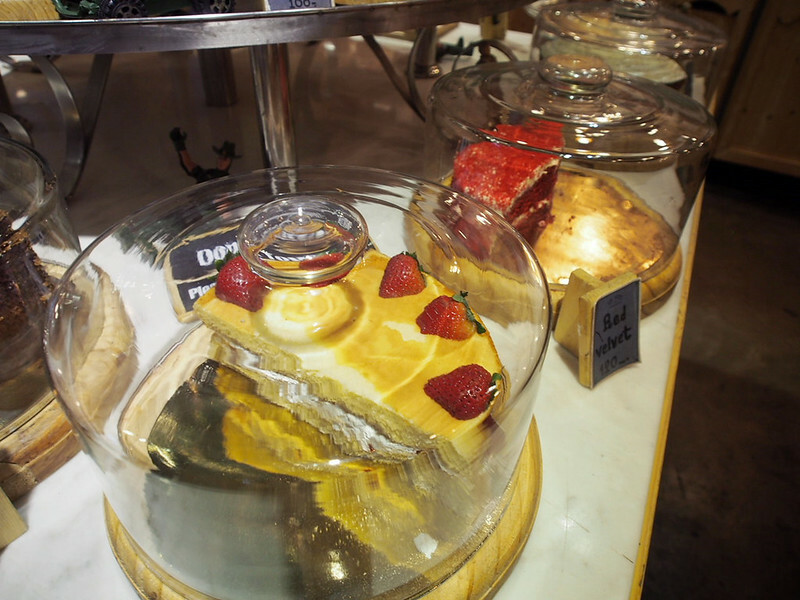 And since you are already at CTC market, take the train to Union Square (one stop away). 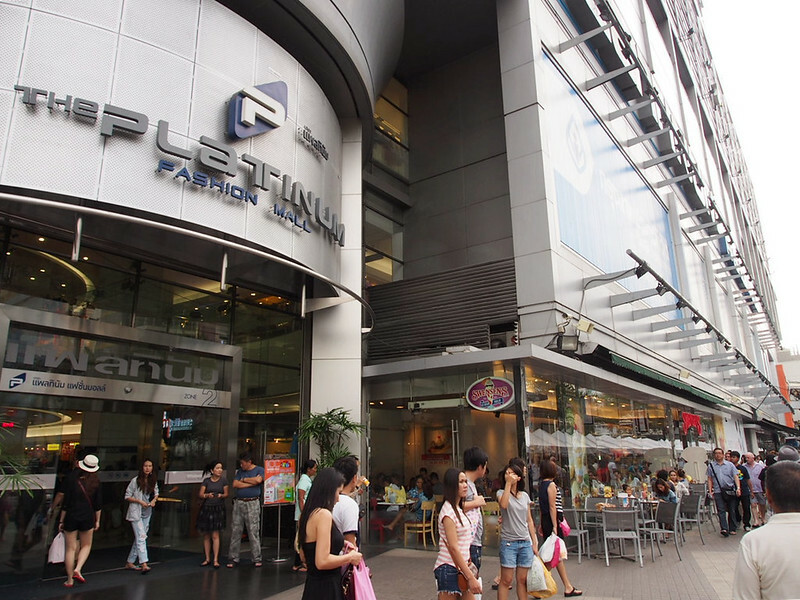 Good shopping over here if you don't have time to head to Platinum Mall! 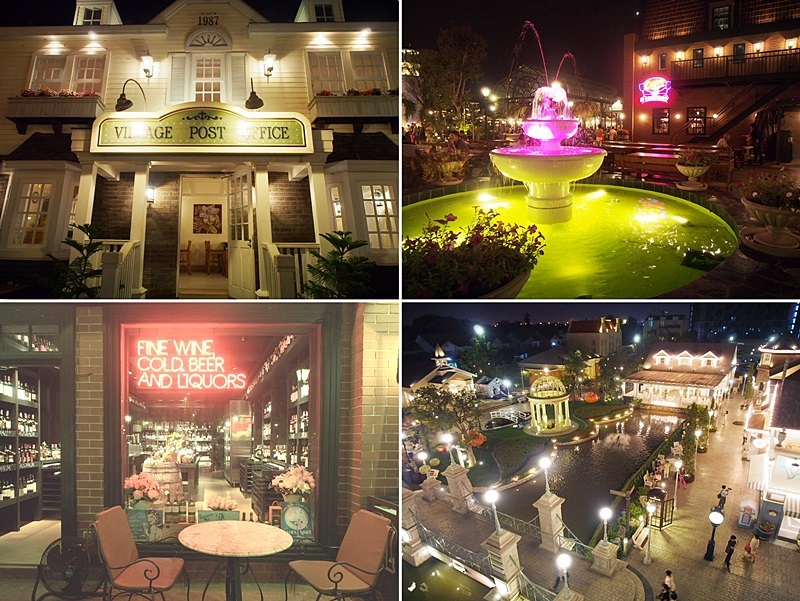 not alot of things that you can do since its only one night stay, but still, have fun! 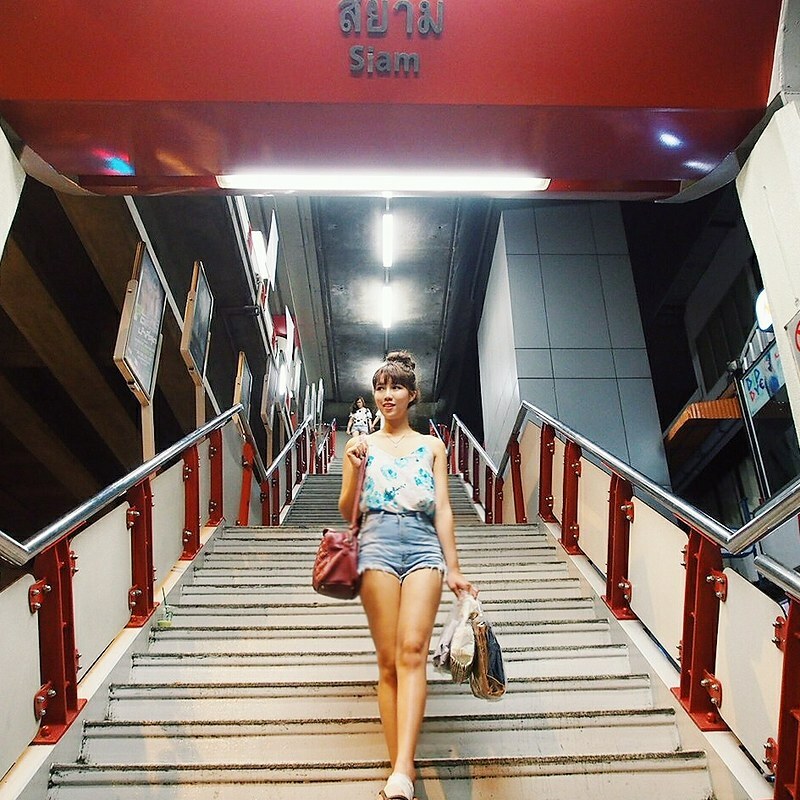 I'm going to Bangkok next week and this post makes me super psyched! 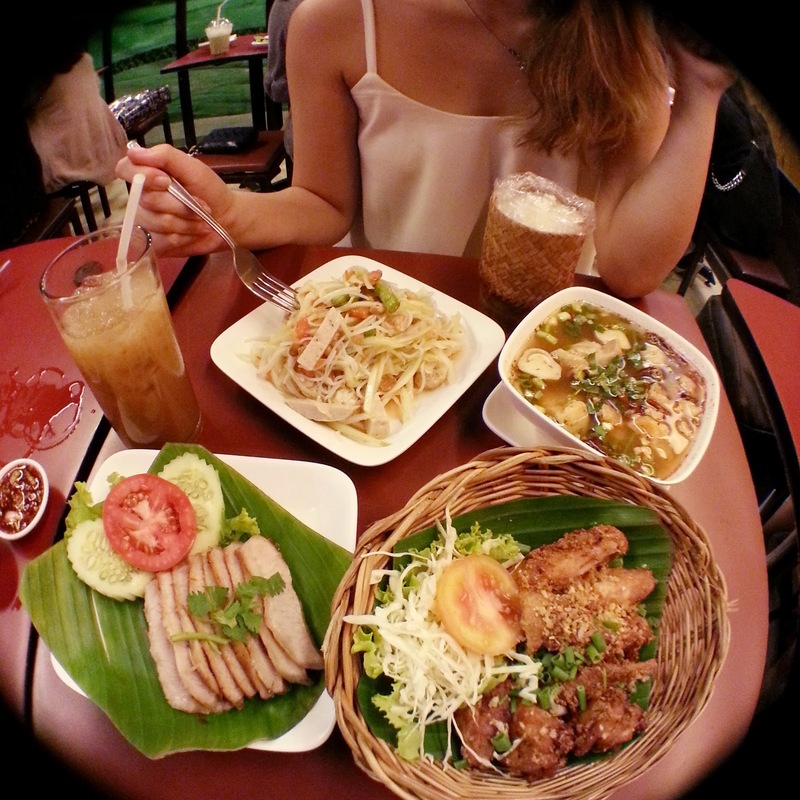 Omg I miss BKK so much! HAVE FUN!! hi how much would you recommend to bring for a 3 days 4 night trip! 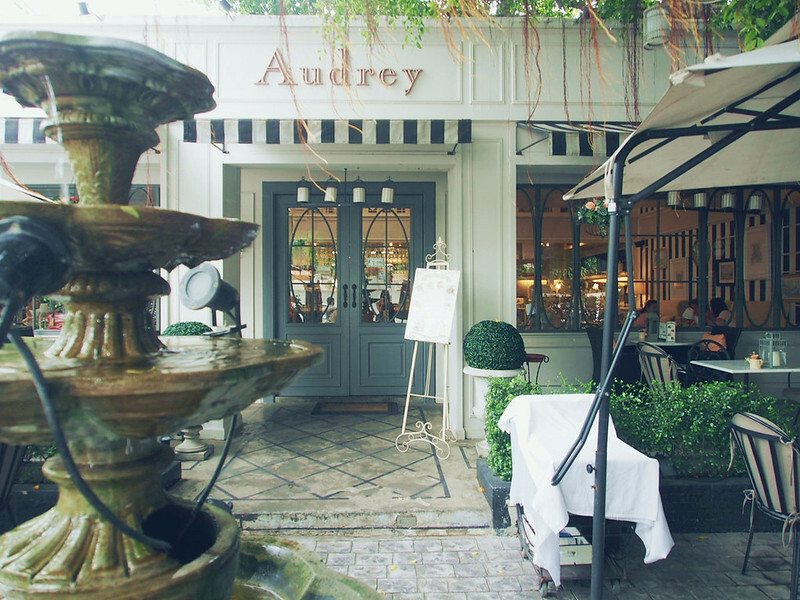 would love to eat and shop as well! Hello! Are you a male or female?? Hahaha cuz I think that will make alot of difference! if you are a female, I suggest to bring as much as you can cuz the shopping is INSANE!!! I think a min of $500 is needed, but of cuz if you bring more means can shop more. If you are a guy and loves to shop too, and I suggest bringing more cash too! 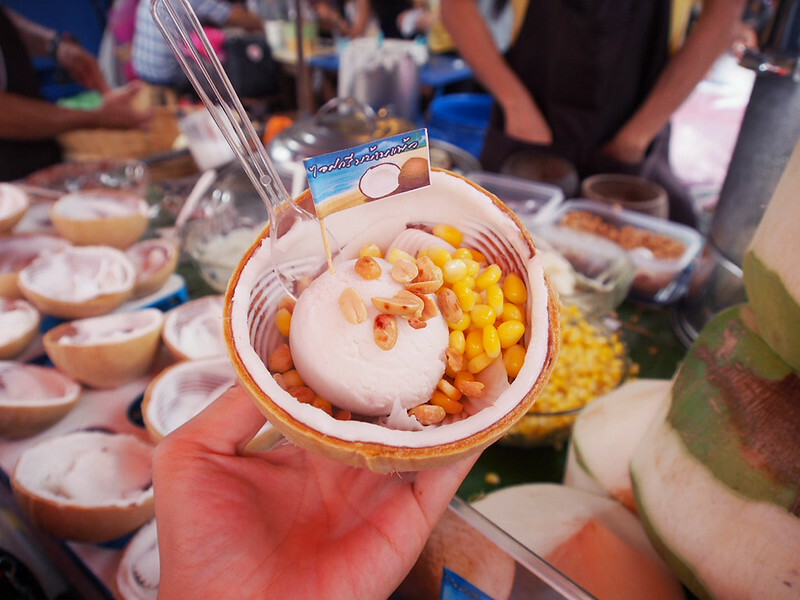 Im wondering at least how many days should i plan for bkk trip if i wish to have a visit to Hua Hin, Choco Ville and Asiantique and chatuchak market , etc. ? is it 4 days will do? 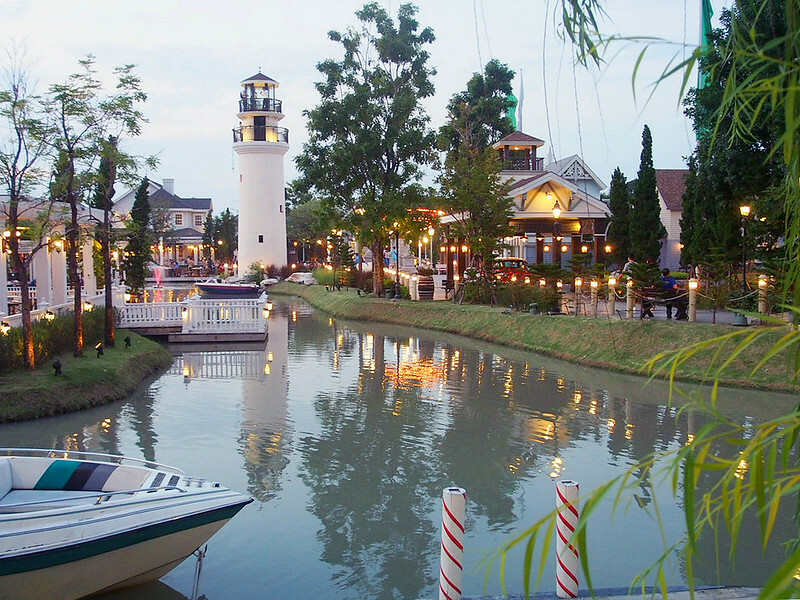 I think you'll spend at least 2 days at Hua Hin since its pretty far away. 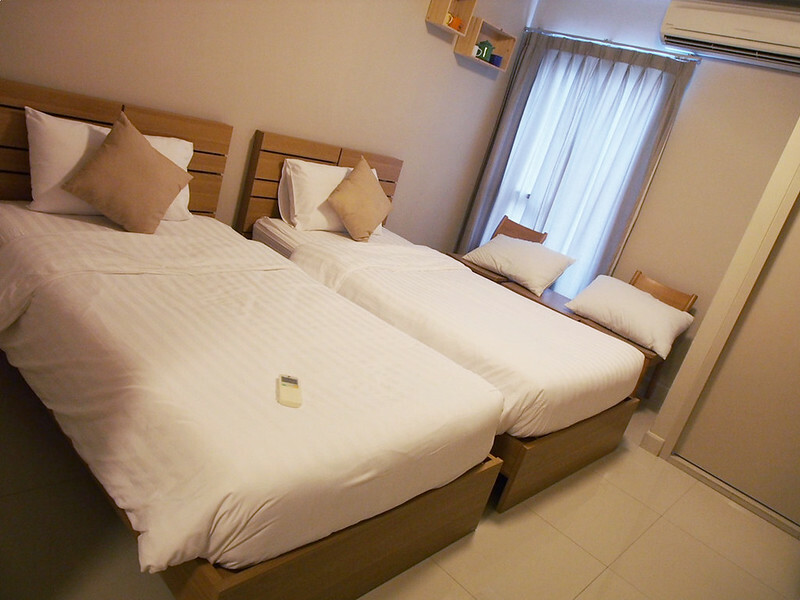 Usually people would stay at least a night in Hua Hin itself. 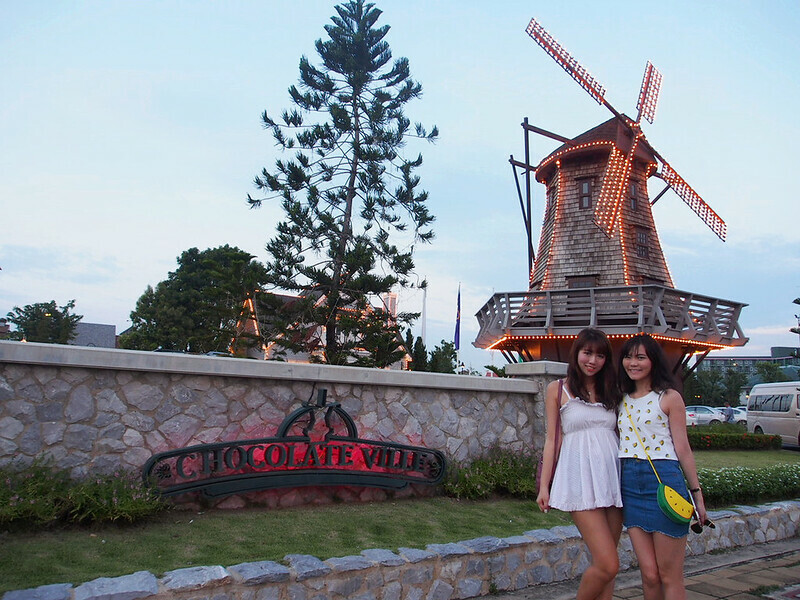 U can do choco ville, asiantique and chatcuhak in 2 days so yeah 4 days is just nice, with one night spent at Hua Hin. 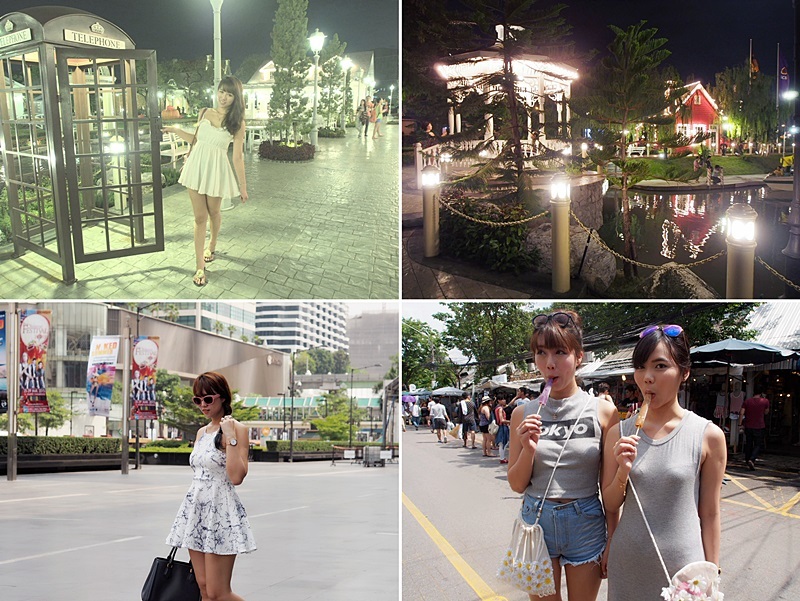 Your blog is awesome and it's very informative about Bangkok. I can't wait to be there. Hello Shenny, omg thanks for such a great post! I'm heading to bkk soon on my own with my friends for the first time. 3d2n trip. 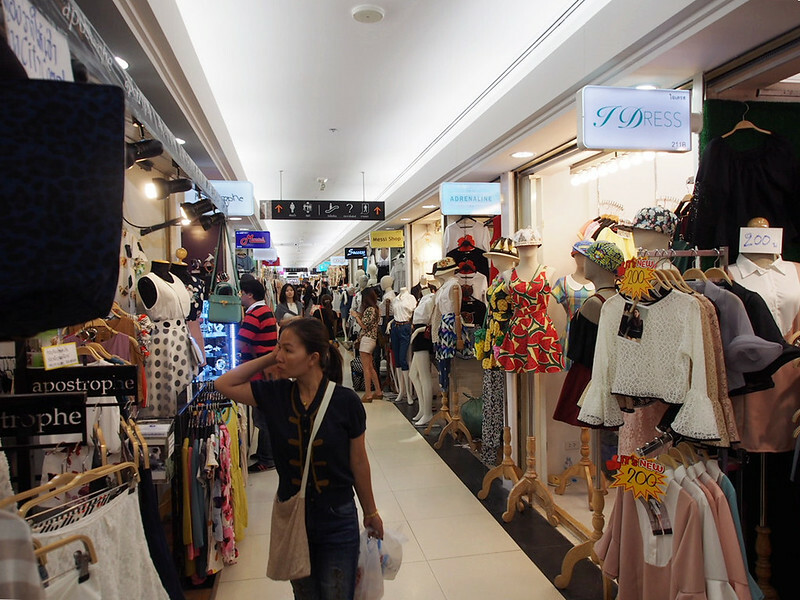 Most probably going to chatuchak market and platinum mall only. How much do you suggest to bring for shopping and food for a girl? 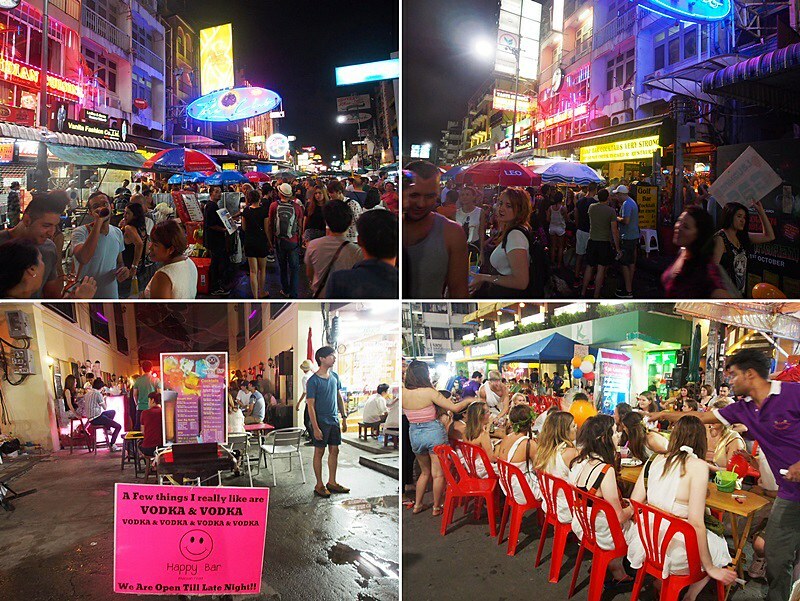 hey, may i know how did you make your way to Khaosan road ? 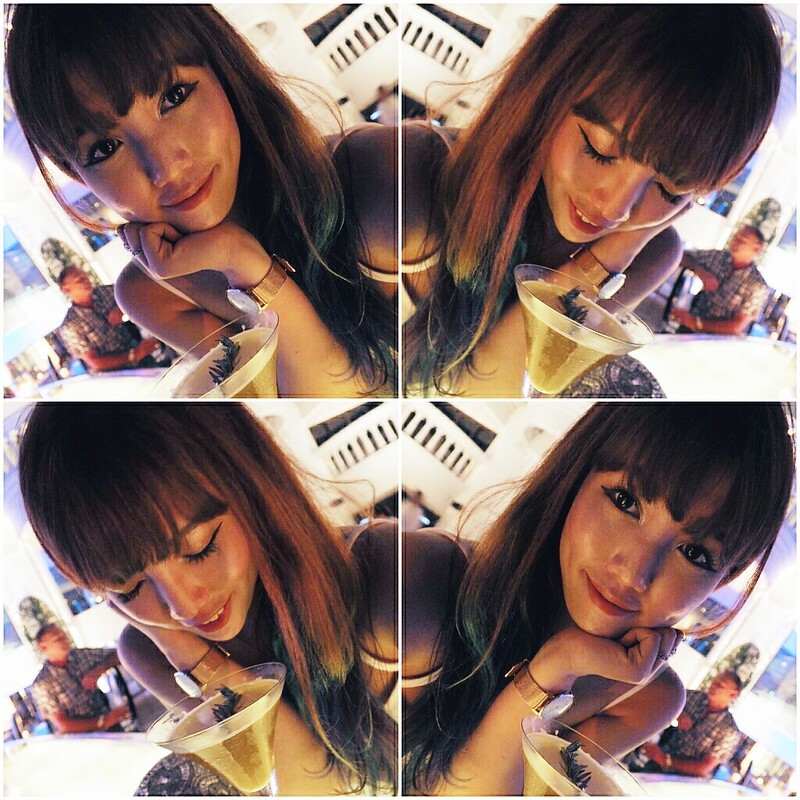 Reading most of the blog about BKK because am going there end of this month... so far I found your blog is most interesting! Thank you for your effort, really very comprehensive blog post, and you are pretty! You're welcome and thanks alot!! Hi Shenny, really love your post and pictures. 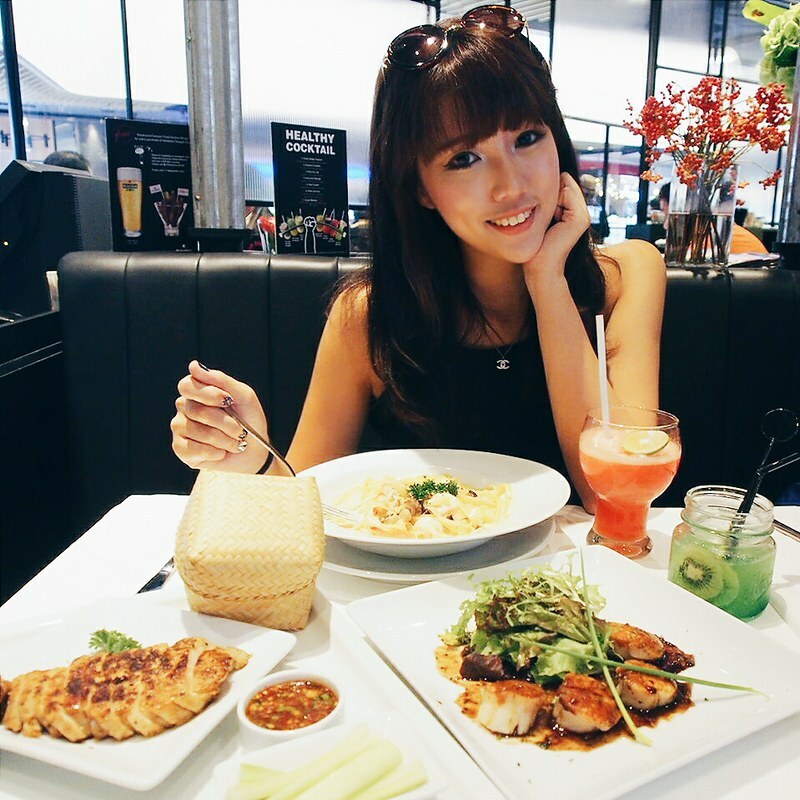 You look really pretty:) Really like the BBQ style fish, and does it taste good? 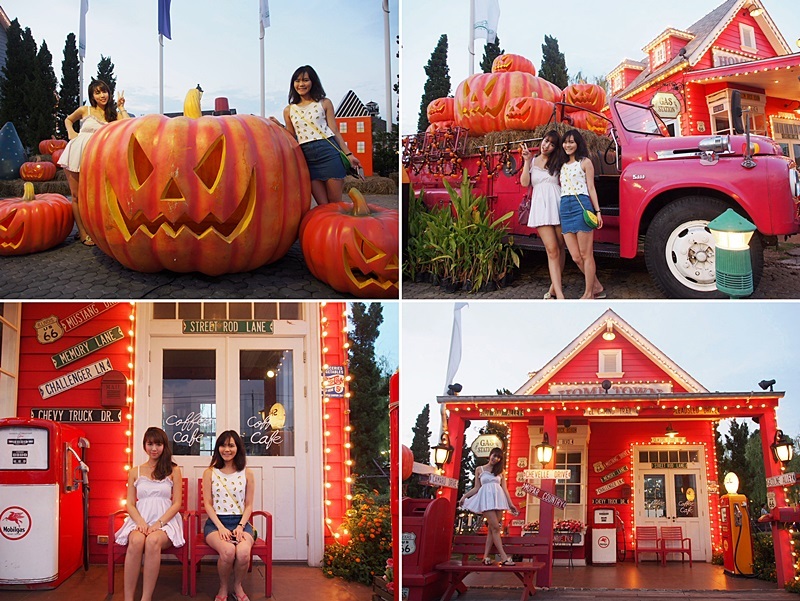 I have seen other blogger talked about Lumpini Park(Most of my info is from this itinerary https://www.43km.co/published_trips/74126acf-3f3d-4b63-8c2d-6ff5ebf2ea32), do you know the place and do you recommend it? 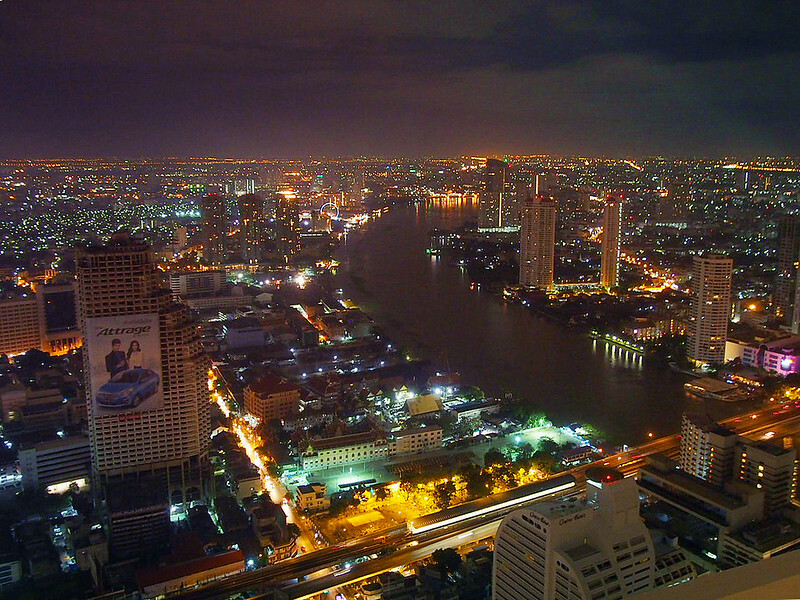 I might stay in Bangkok for few days, and I want to explore the city a bit. Thanks again!